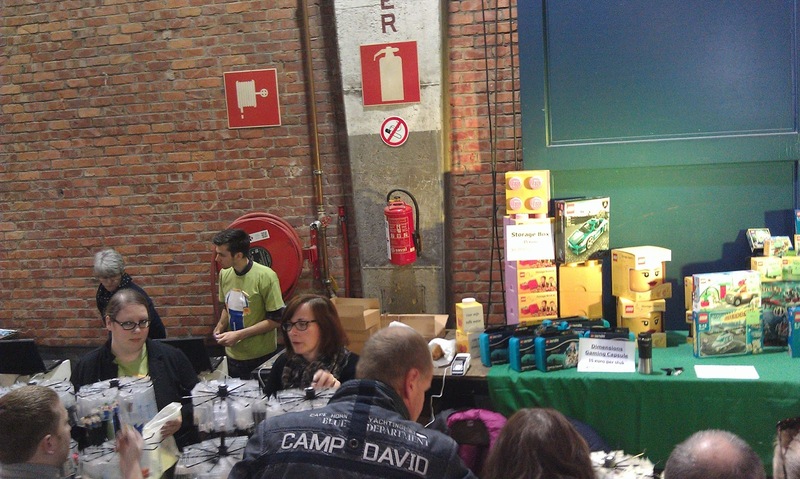 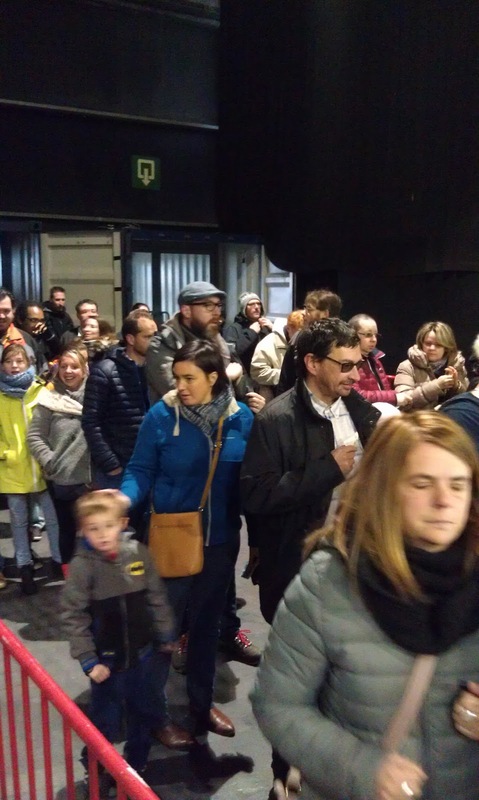 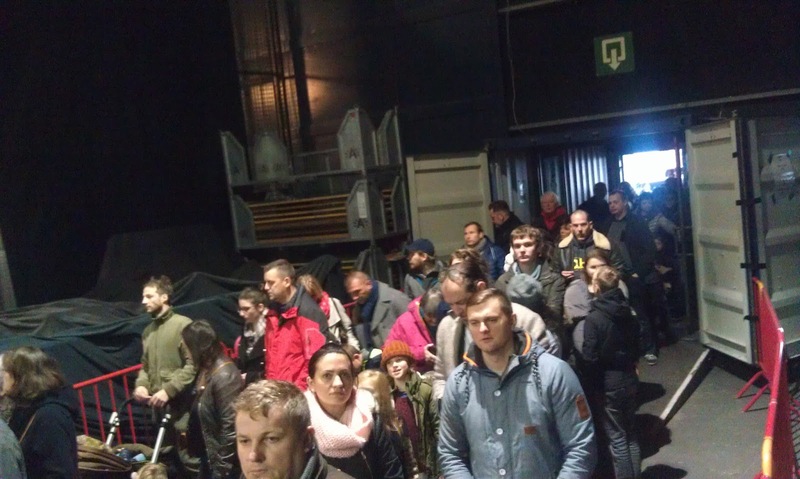 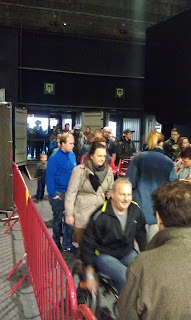 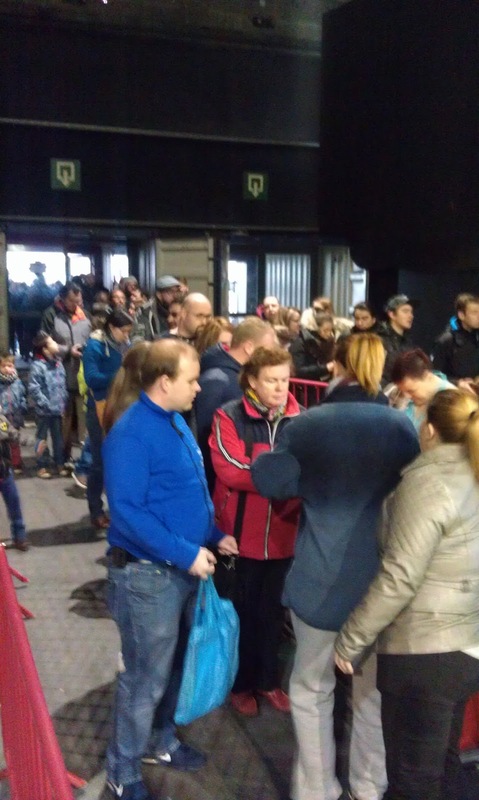 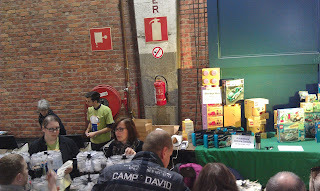 And it was a blast, with a lot of people visiting the show this year, topping our entrance number of last year. 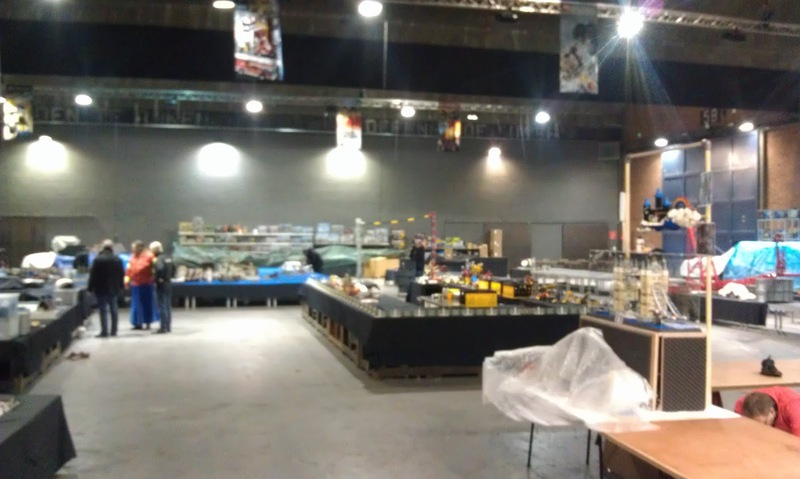 I don`t have the official numbers, but I`m sure the BeLUG board will communicate these as soon as they are known, but let`s have a look at the event itself then! 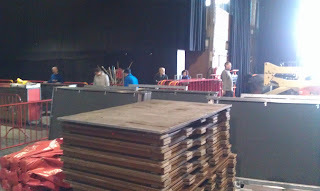 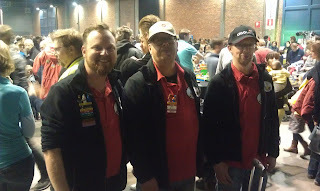 Of course, no show can be held without the volunteers that set up the whole venue. 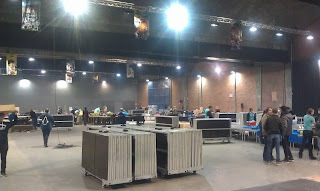 So on friday, two dozen people where present to put down all the tables, add the decorations, and well, set everything up. After the early arrivals on saturdays of both traders and exhibitors, teh doors opened at 10 o`clock for two days of bricky fun. 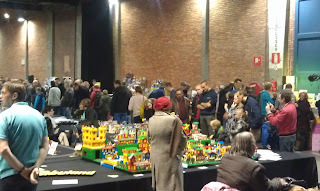 And it was a rush from the word "go" as people streamed into the Waagnatie, and this would continue for two whole days. 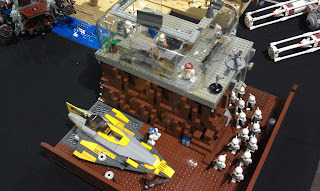 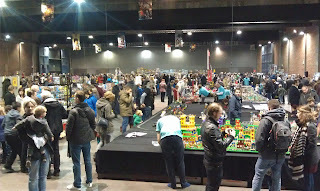 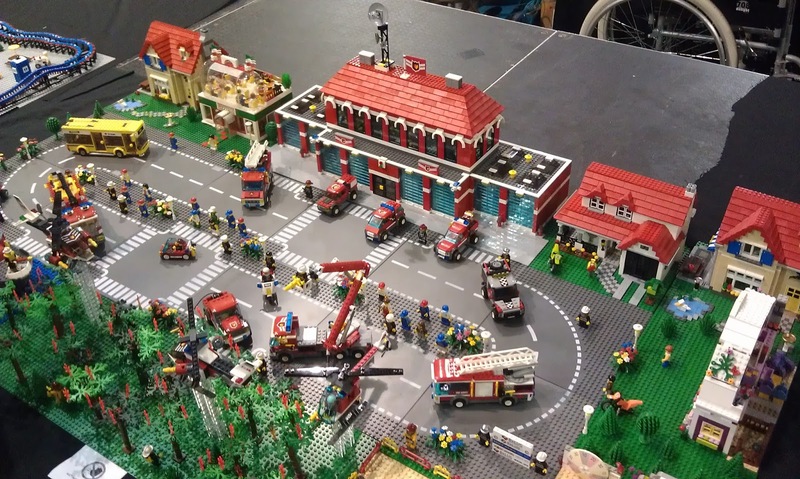 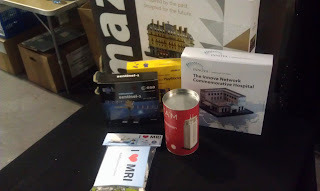 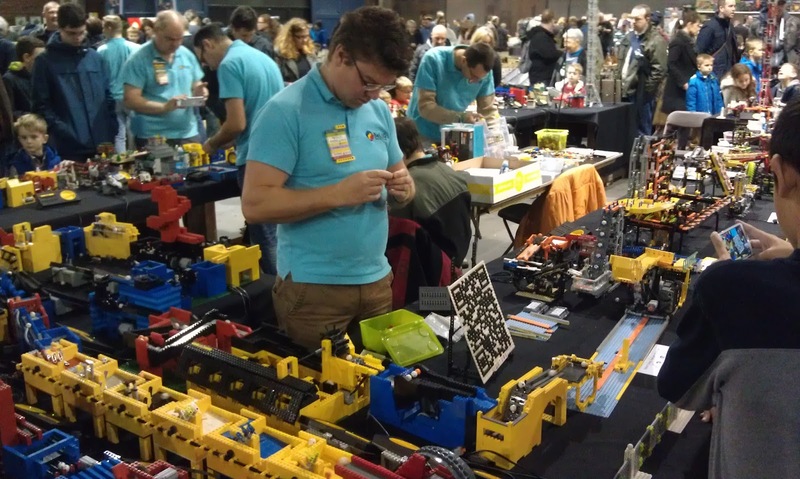 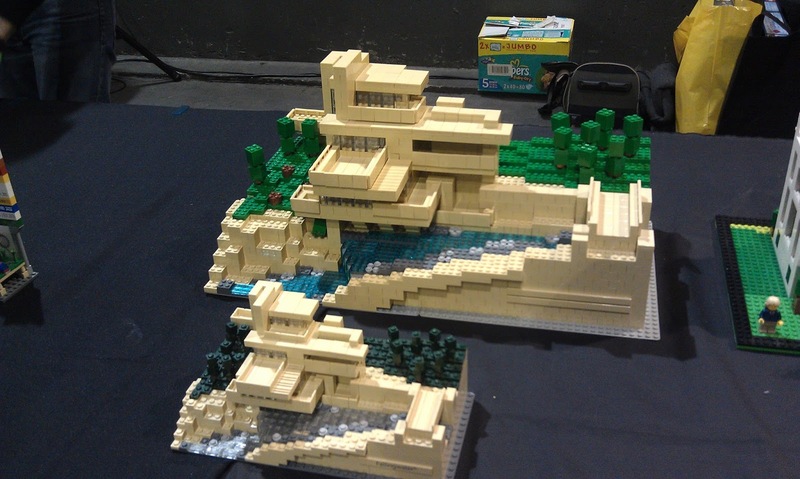 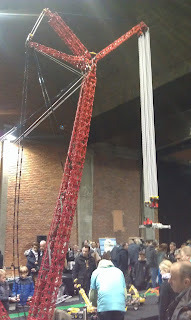 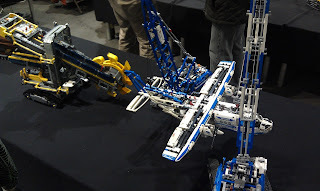 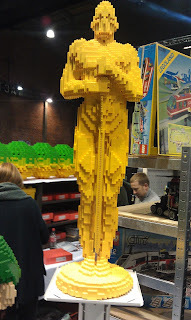 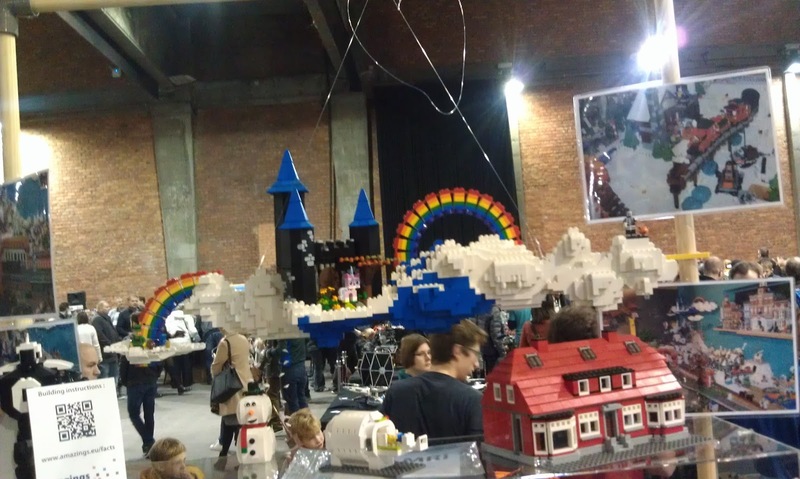 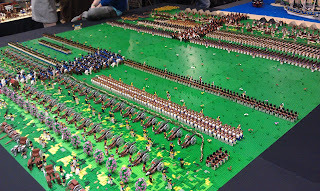 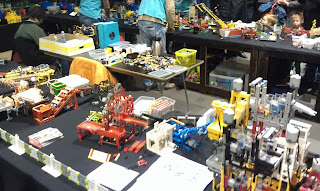 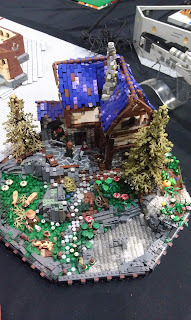 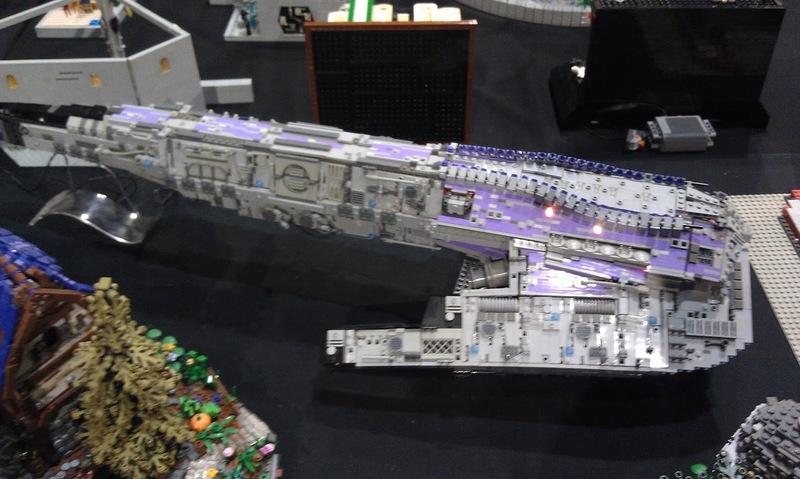 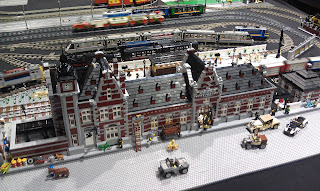 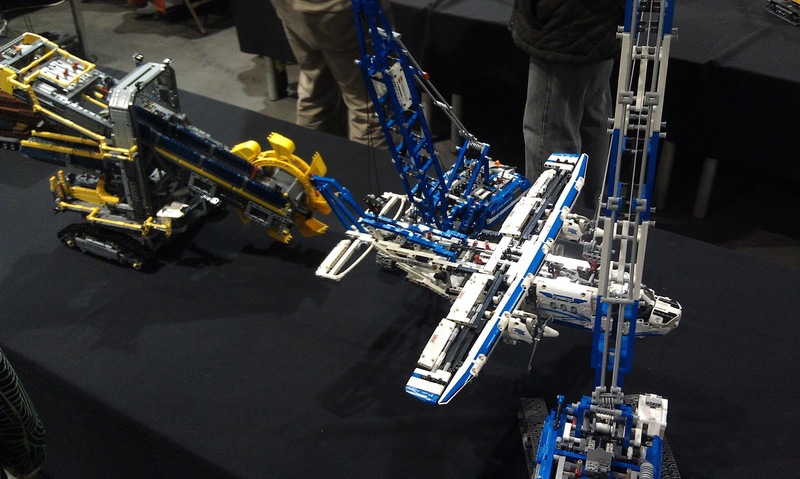 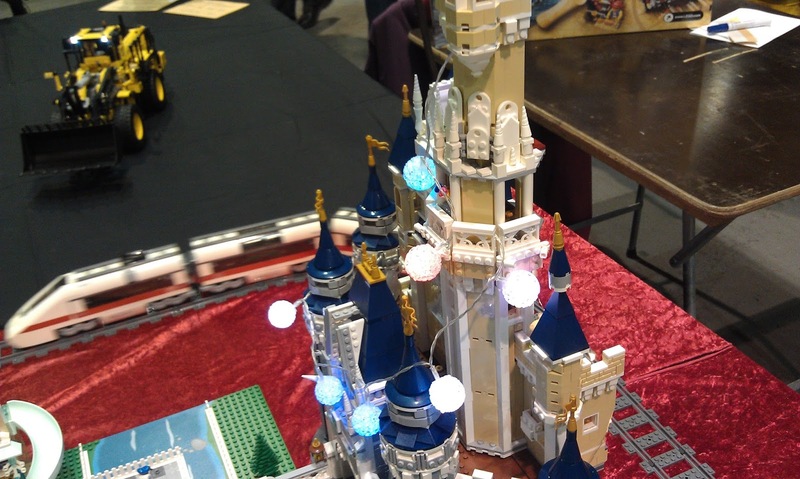 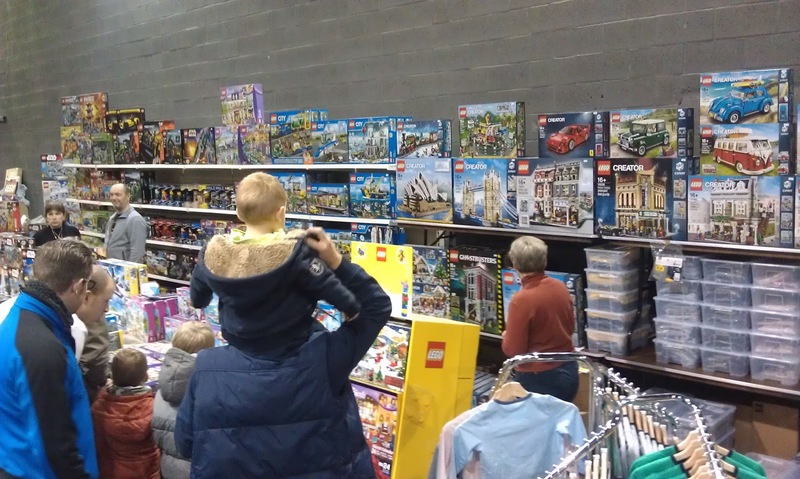 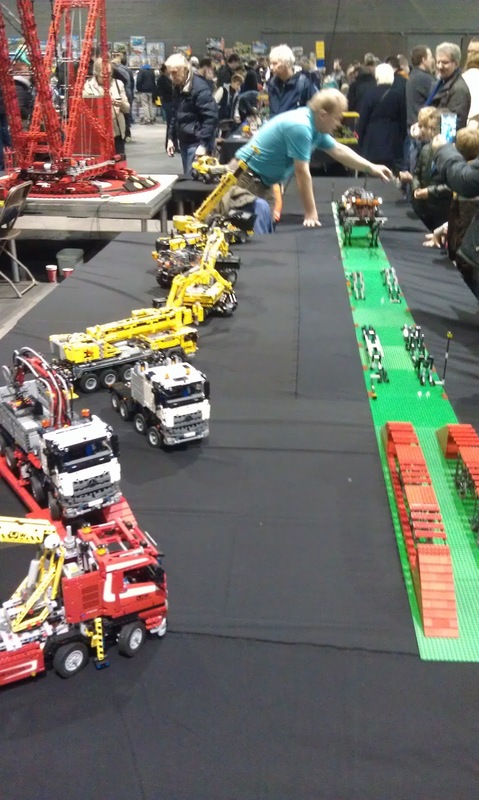 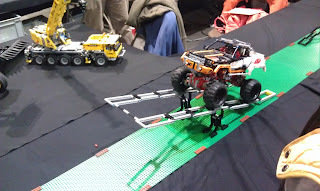 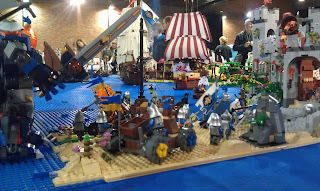 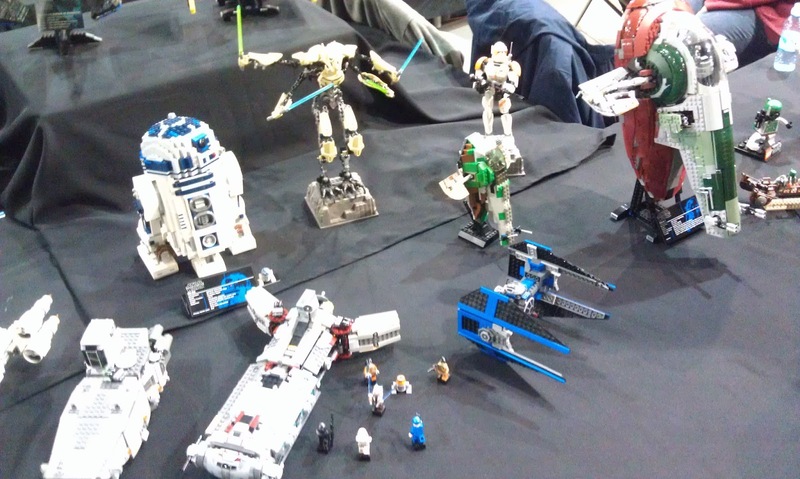 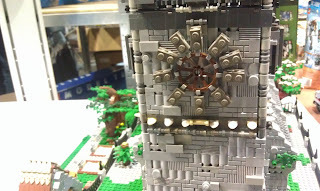 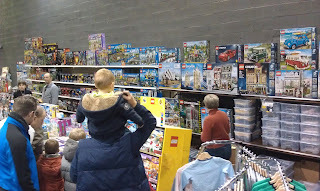 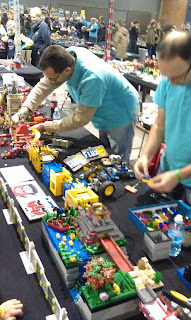 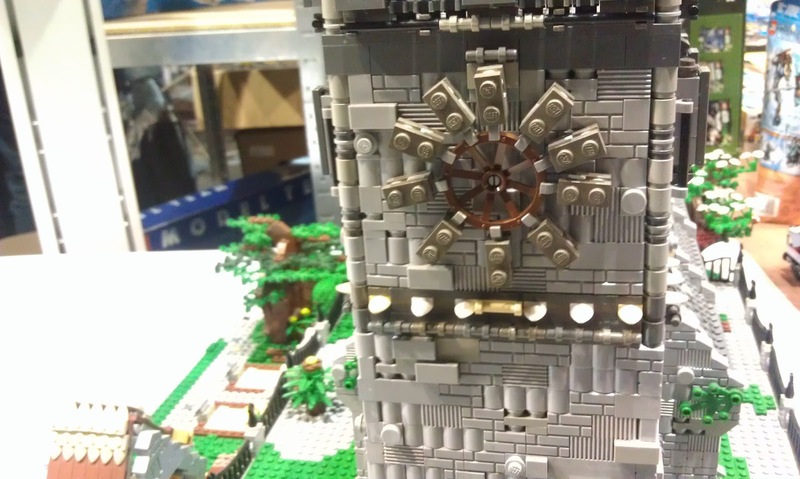 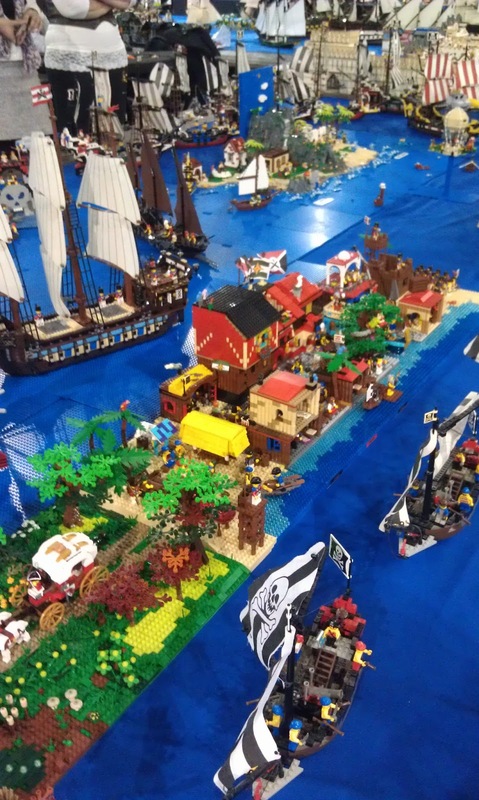 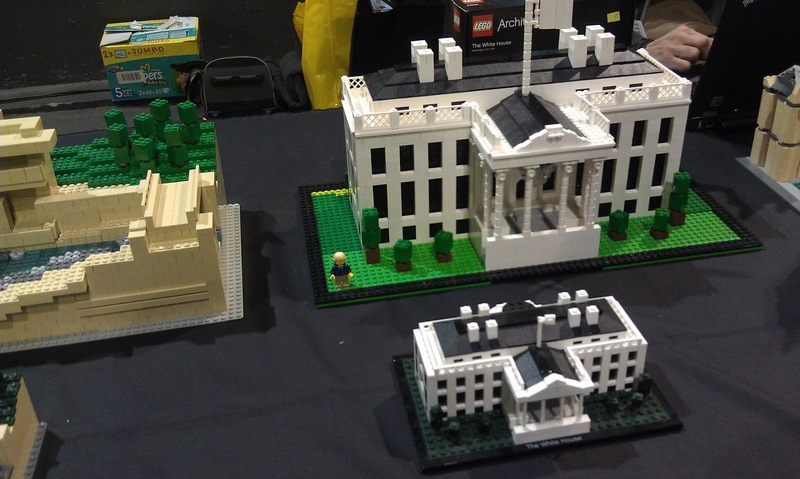 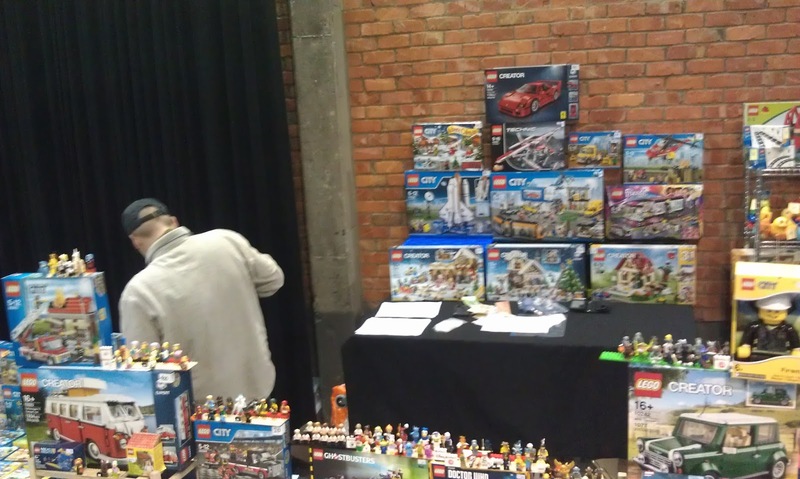 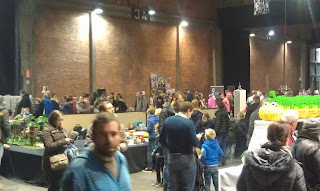 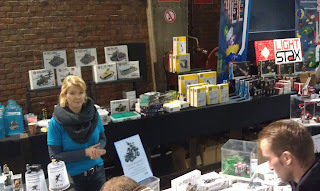 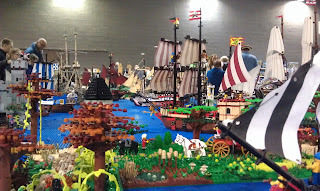 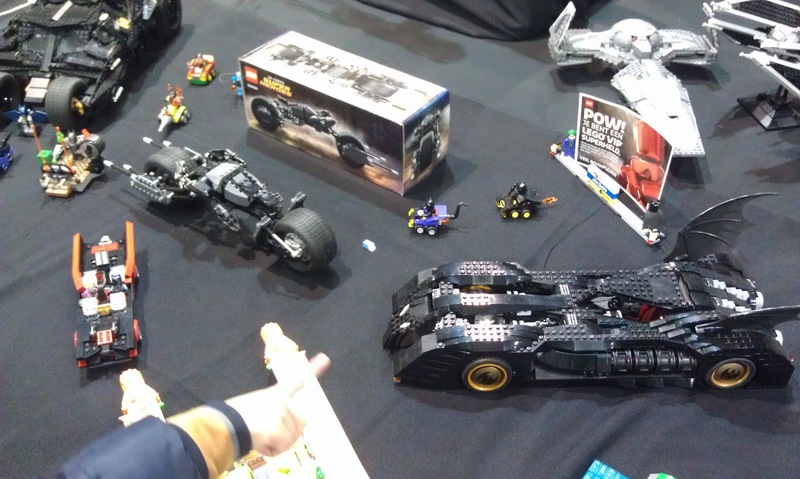 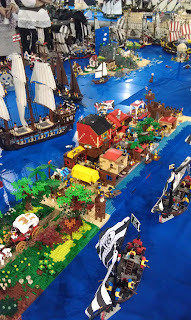 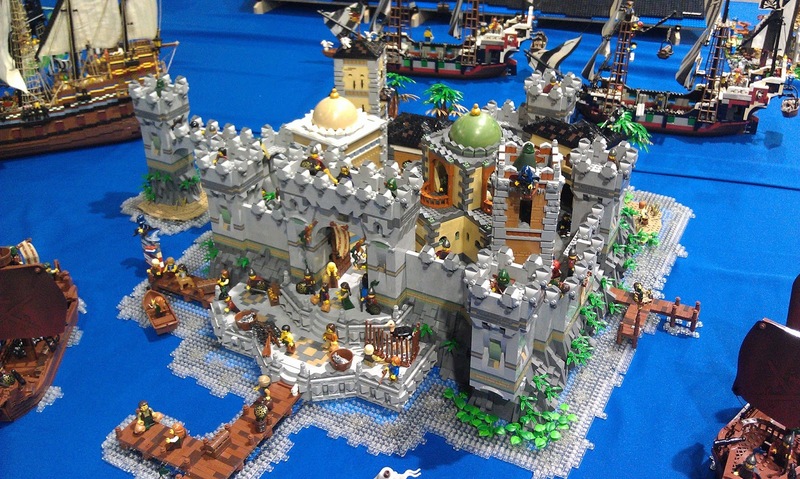 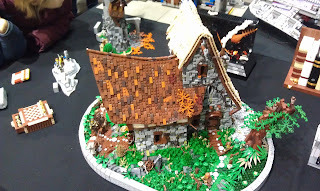 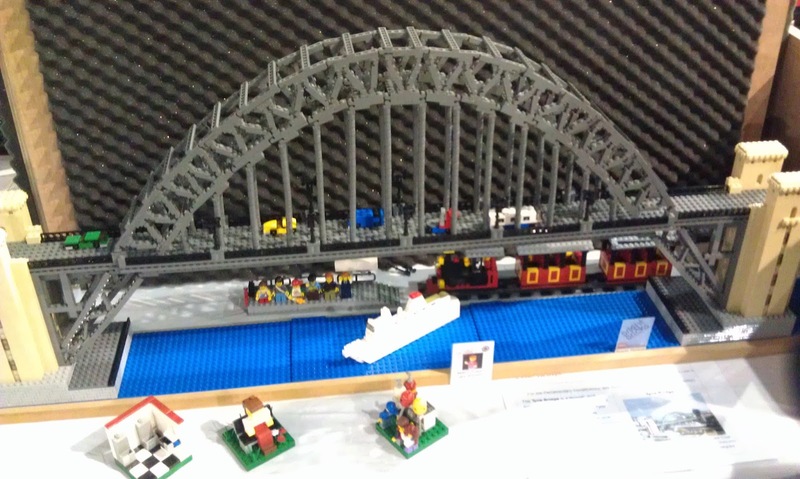 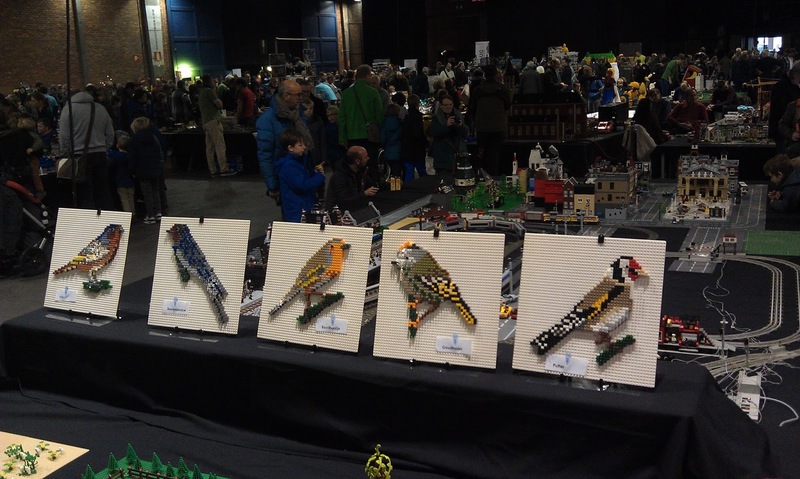 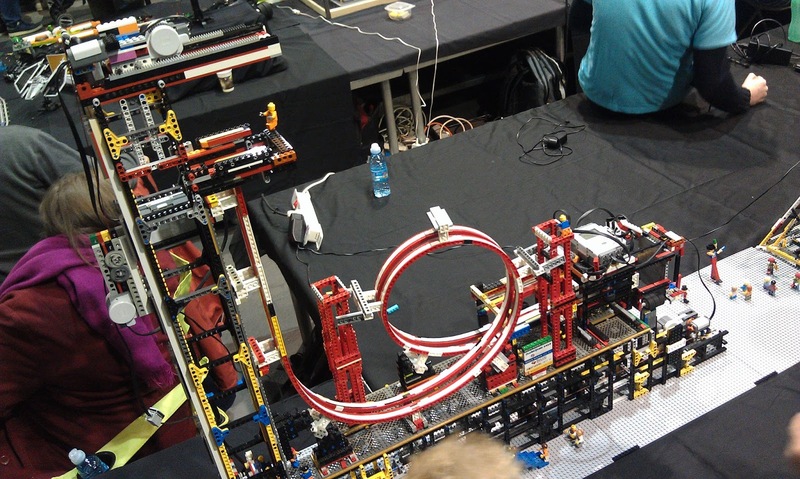 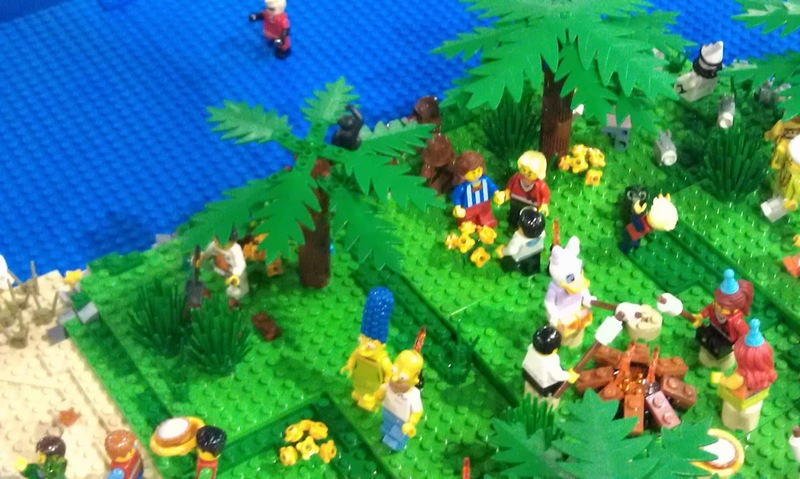 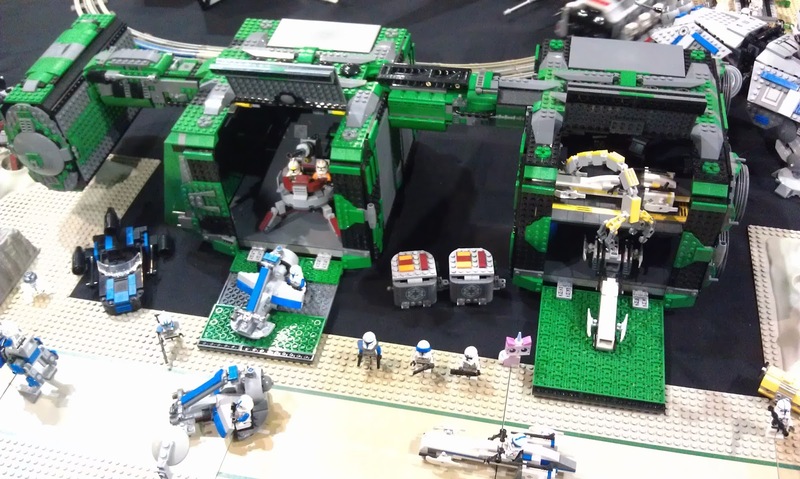 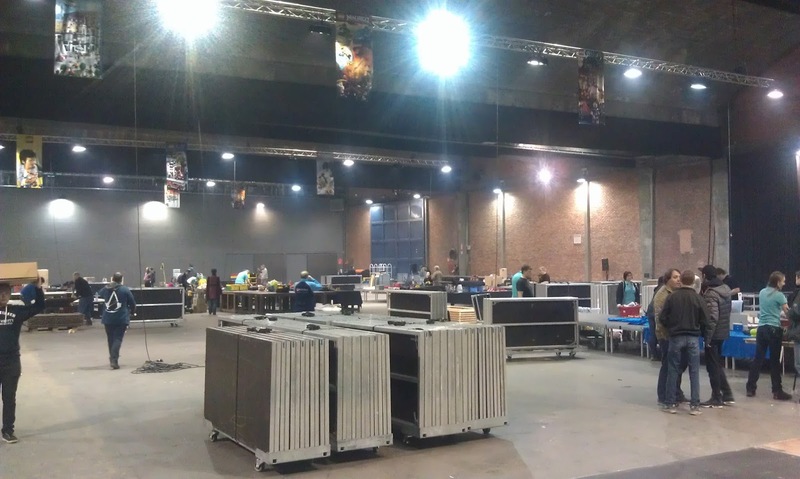 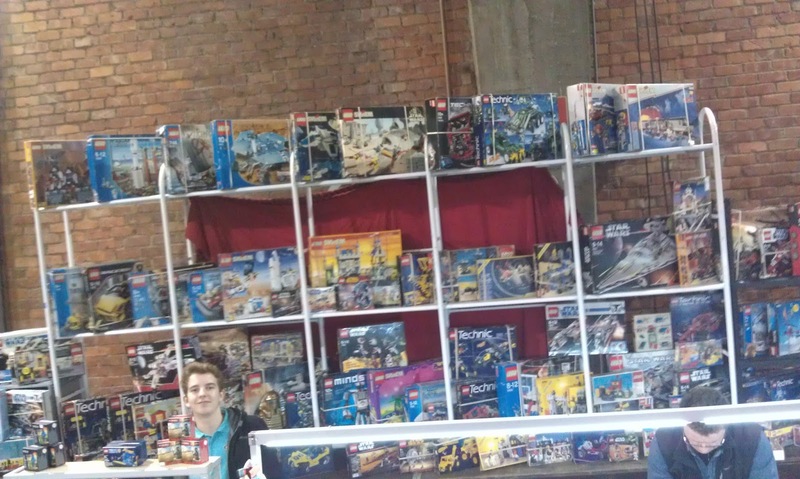 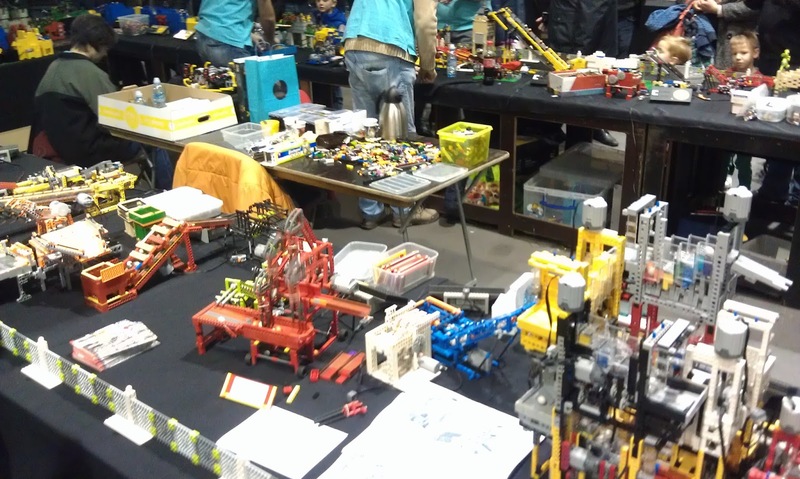 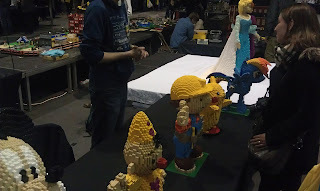 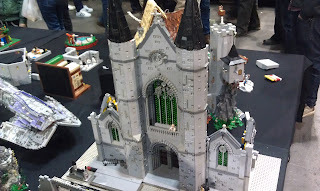 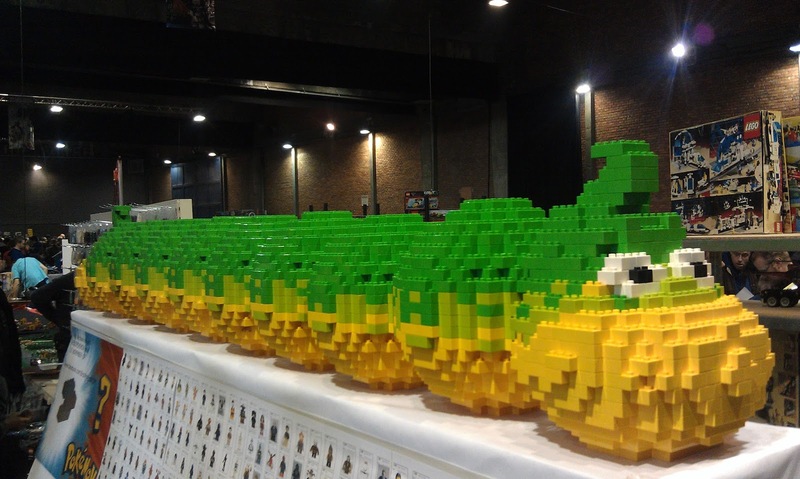 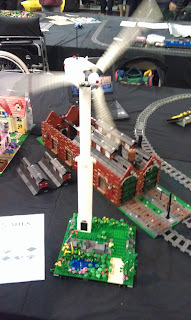 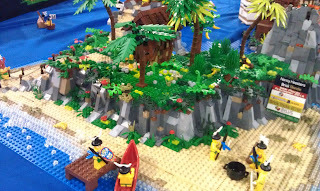 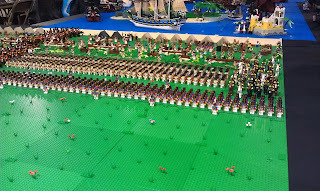 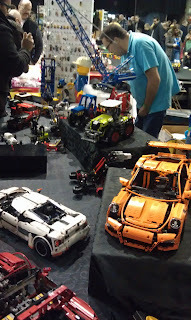 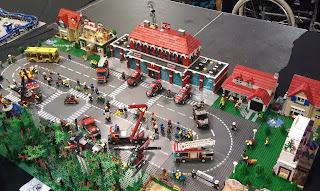 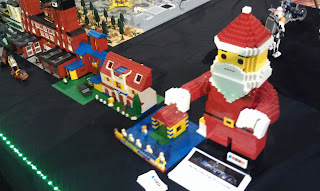 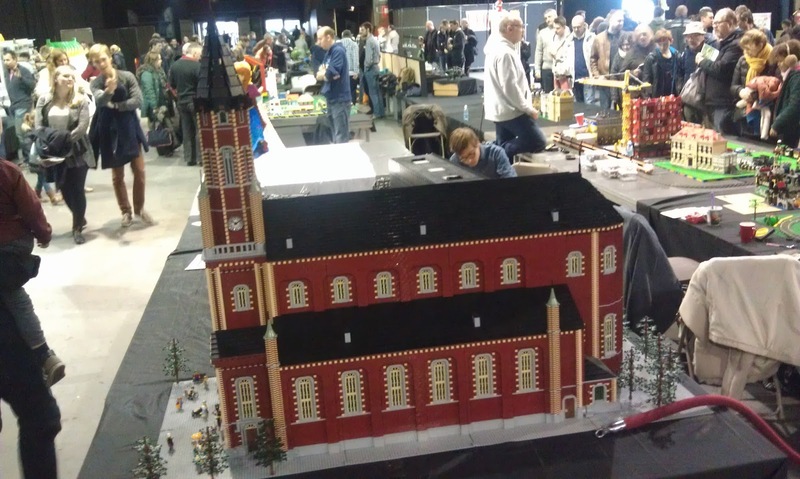 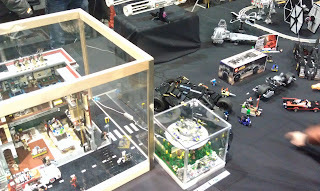 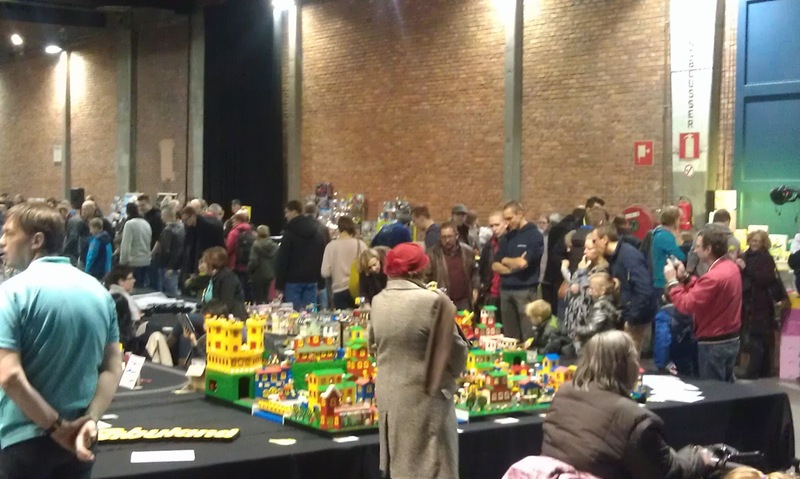 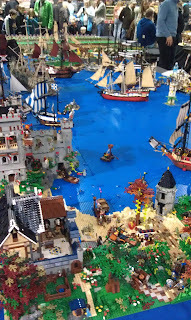 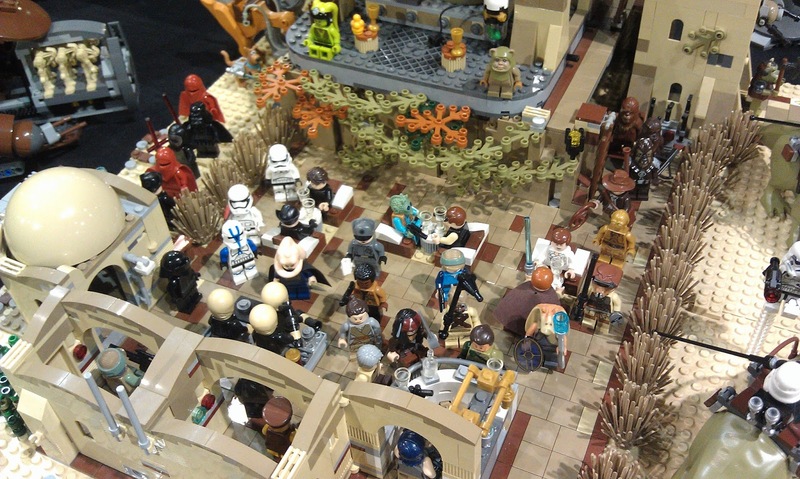 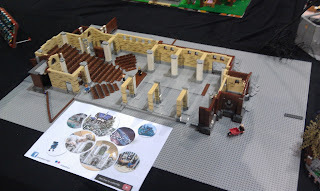 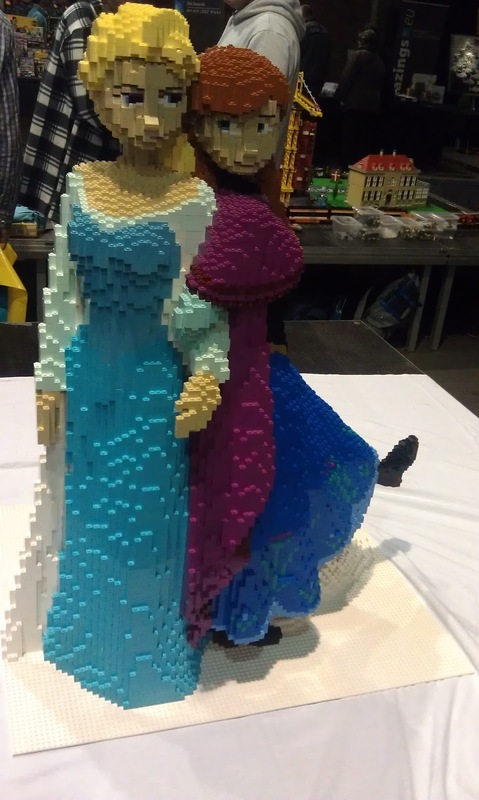 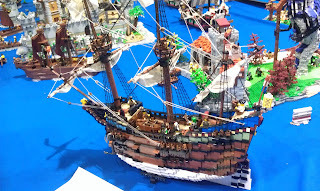 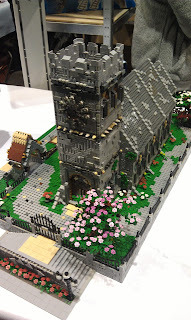 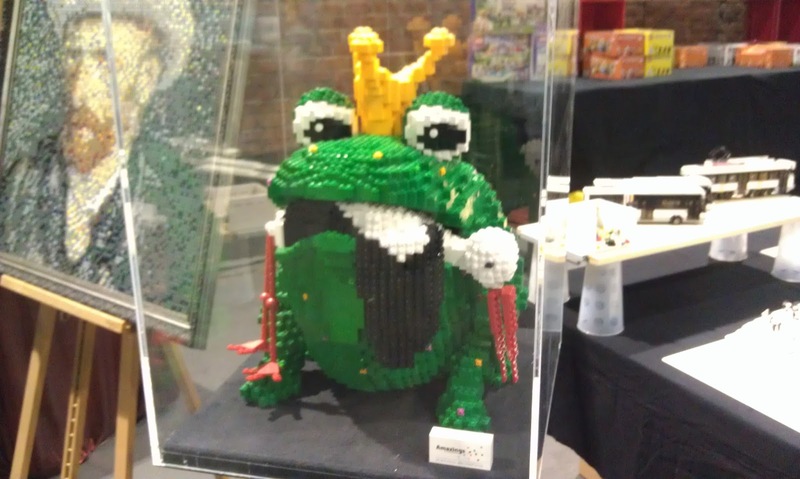 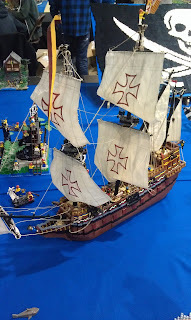 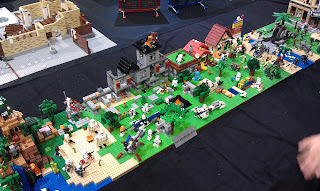 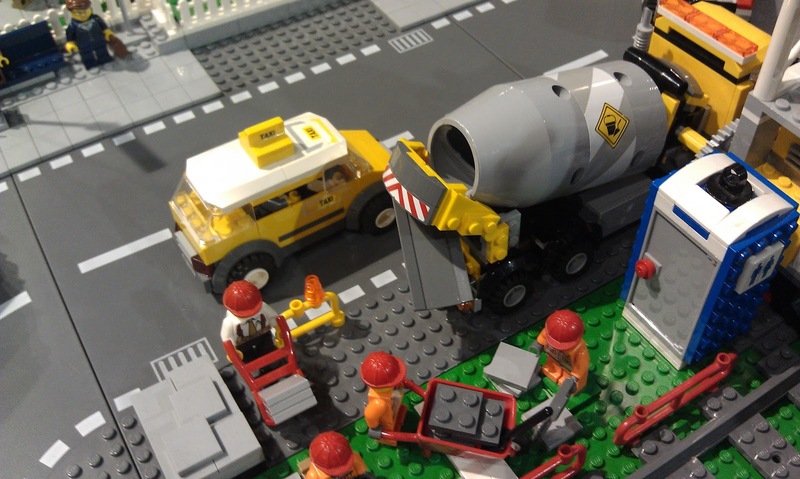 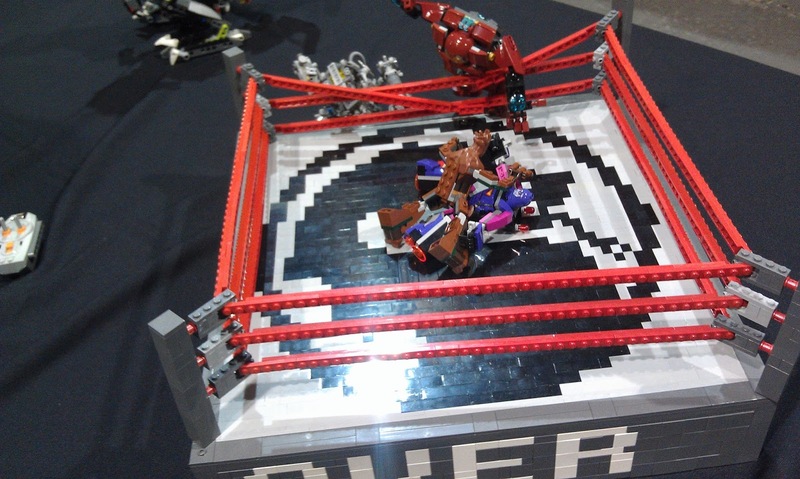 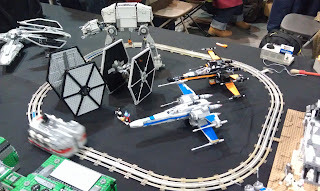 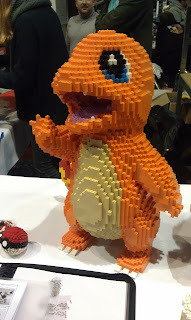 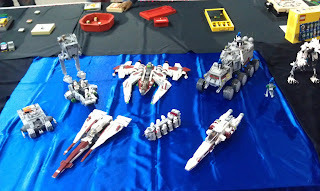 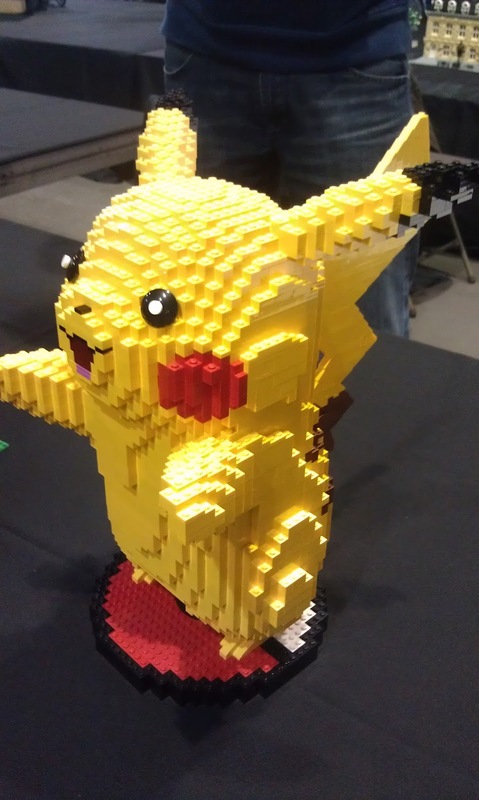 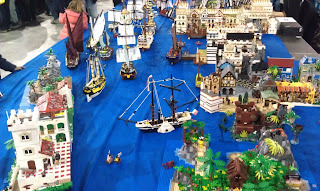 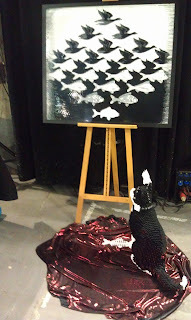 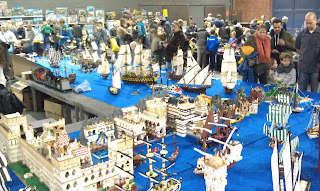 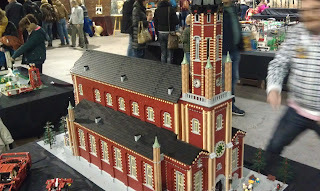 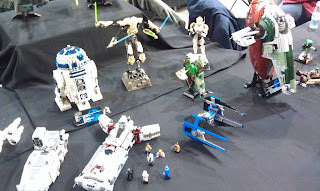 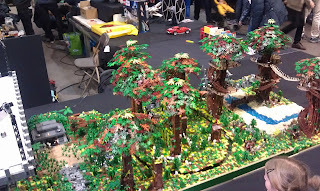 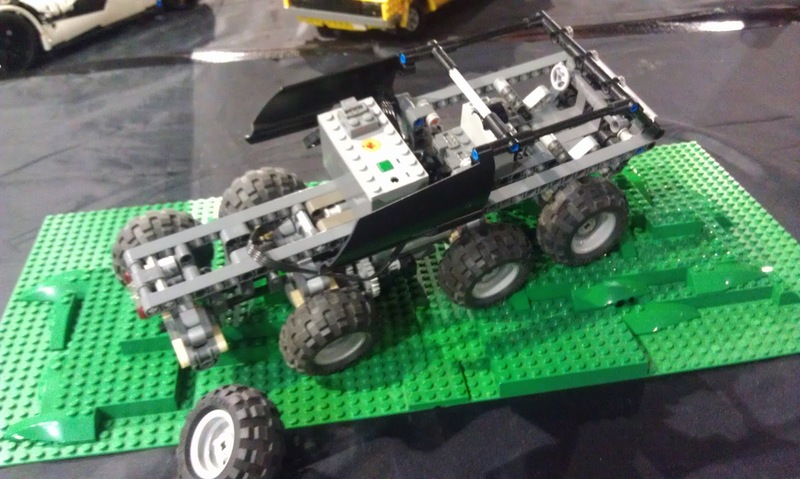 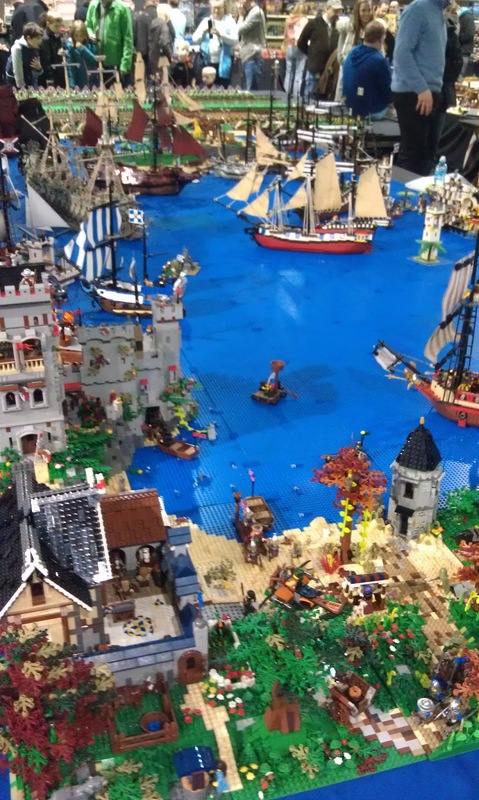 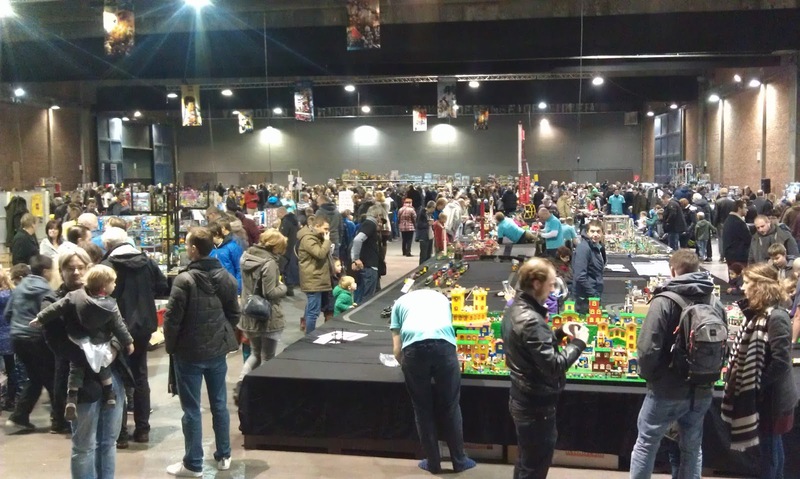 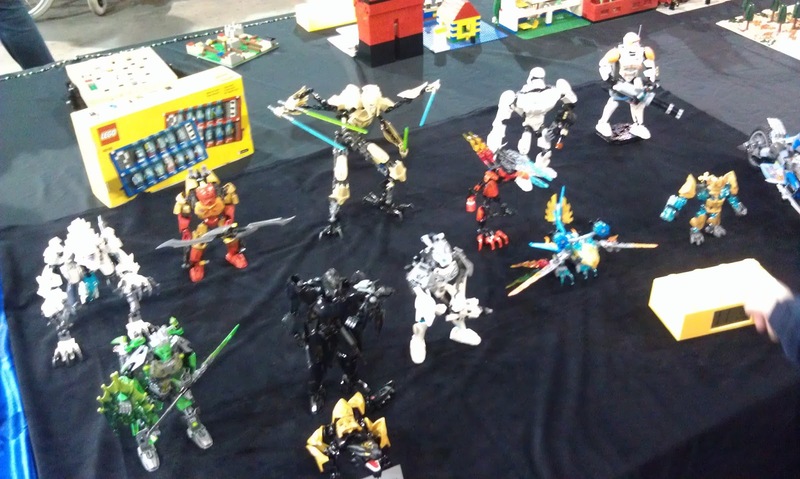 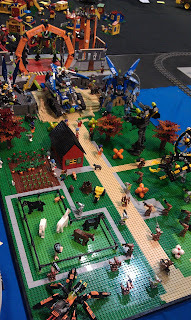 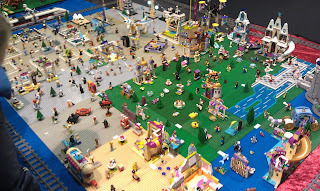 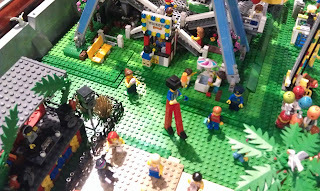 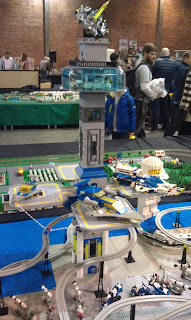 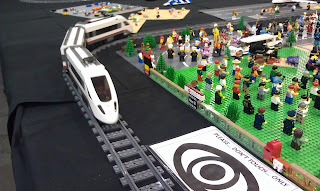 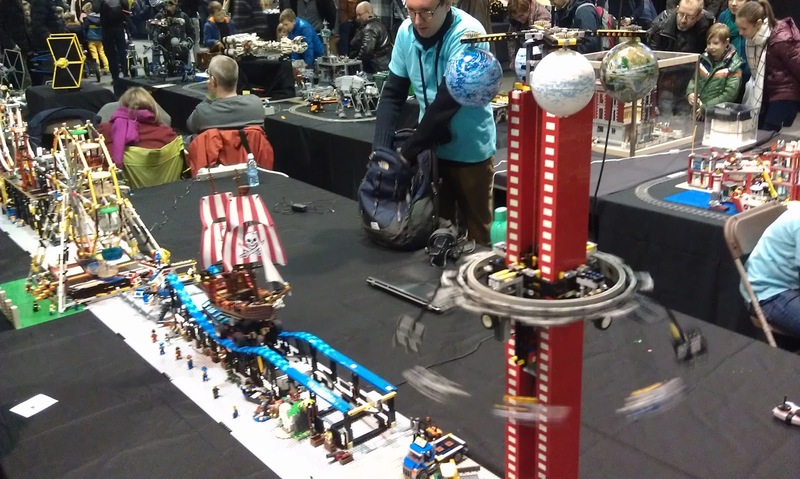 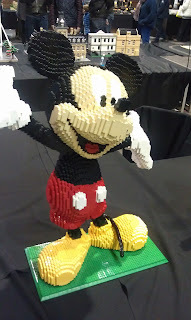 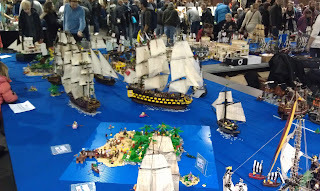 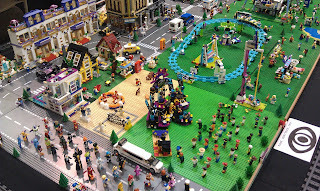 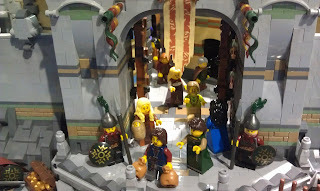 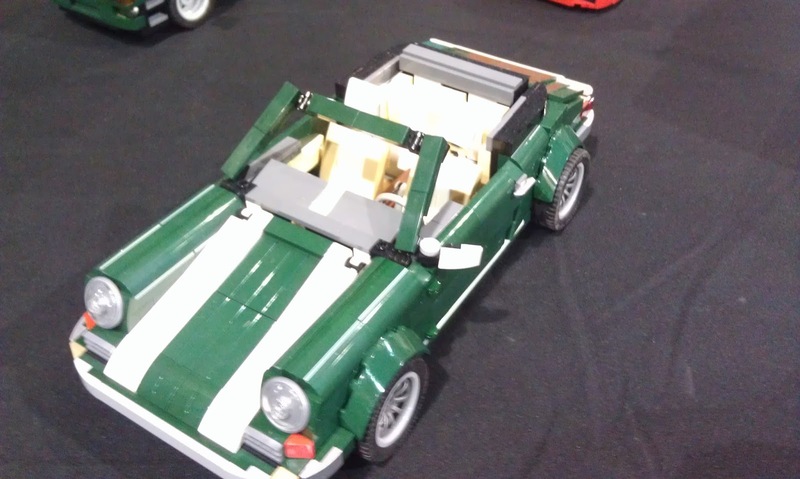 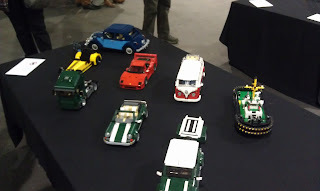 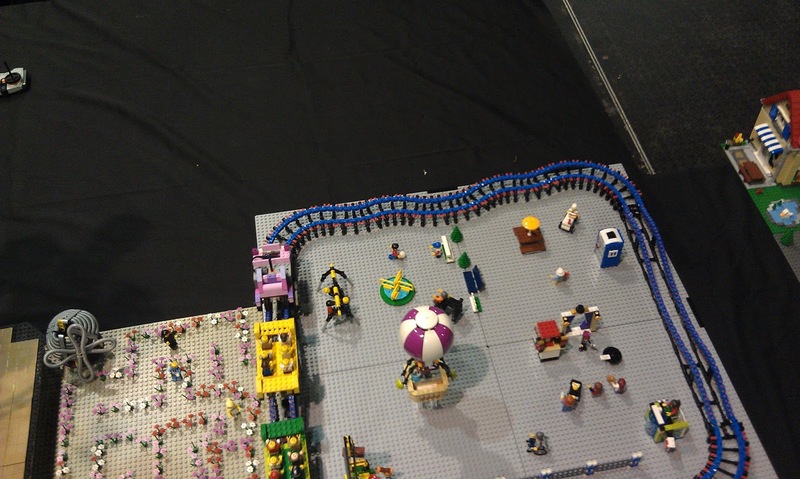 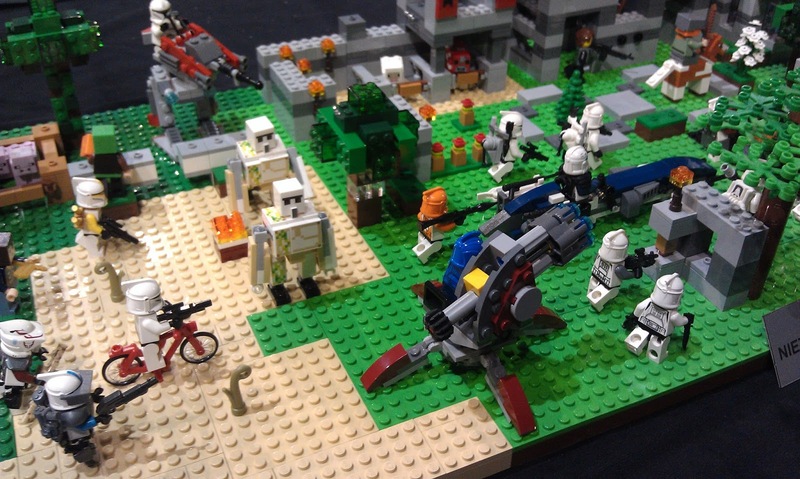 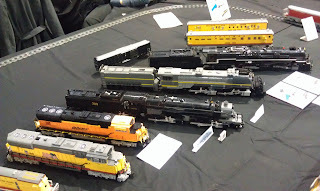 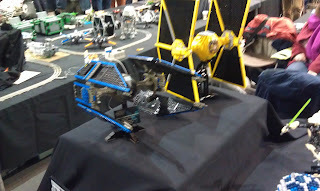 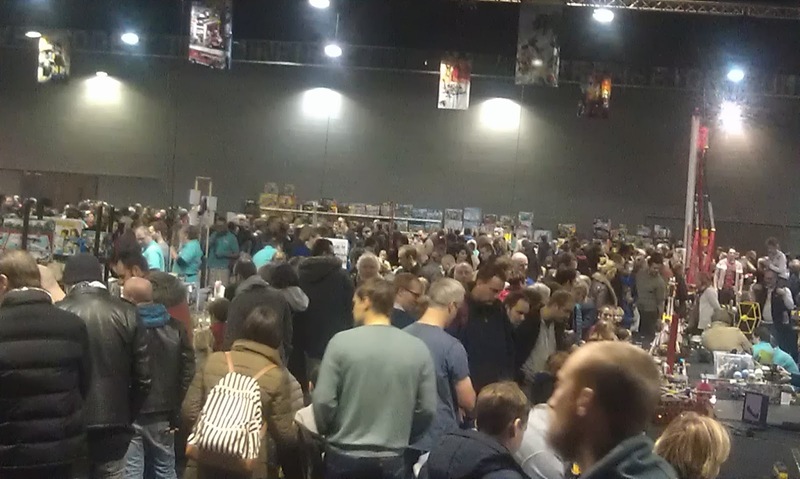 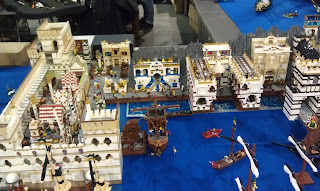 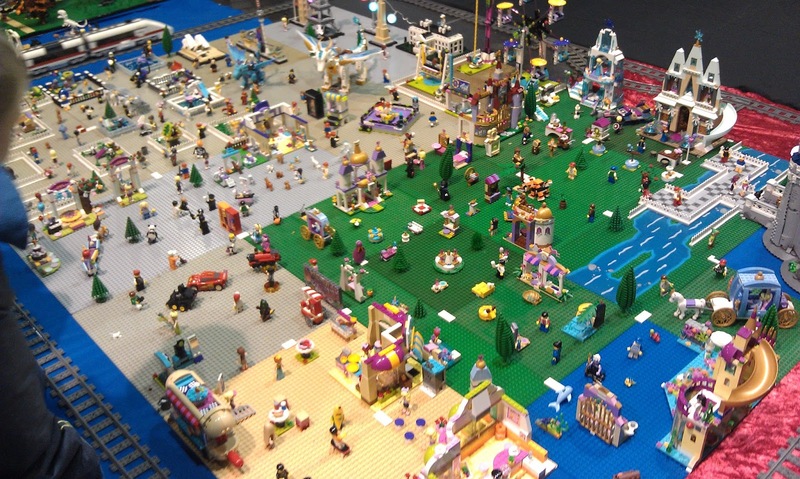 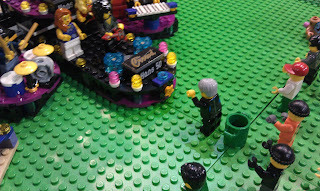 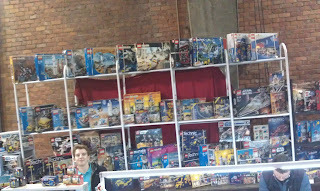 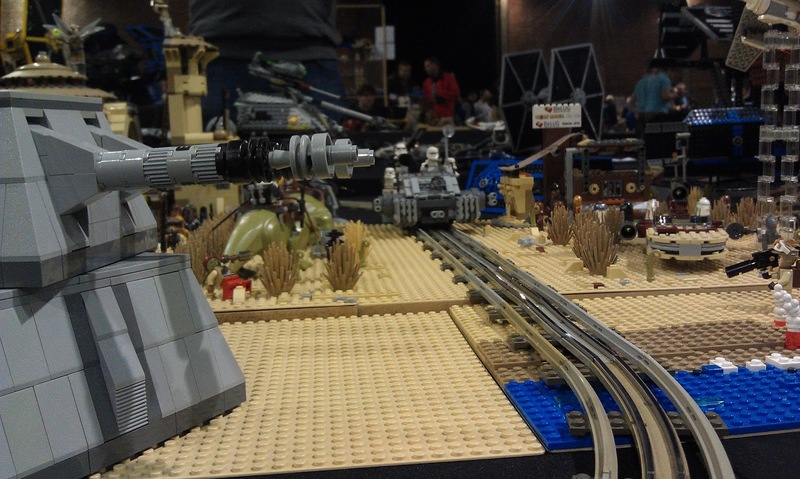 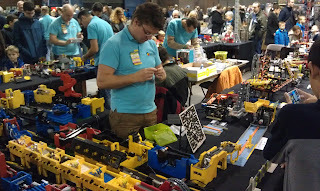 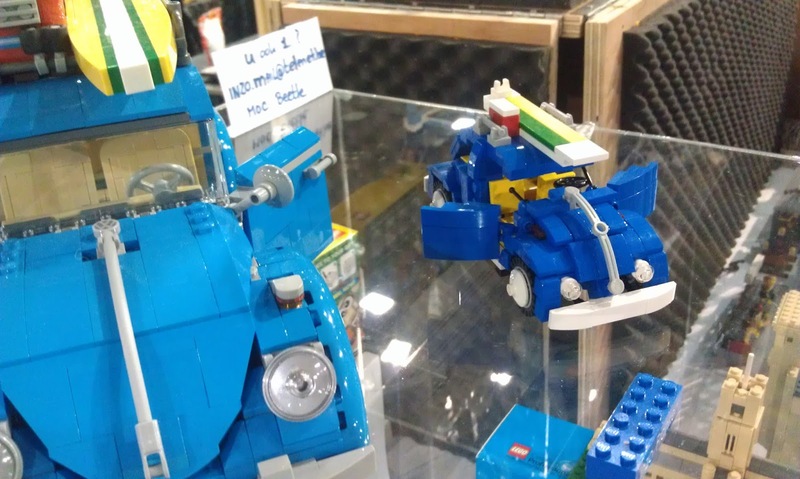 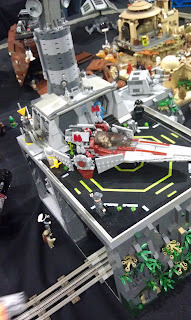 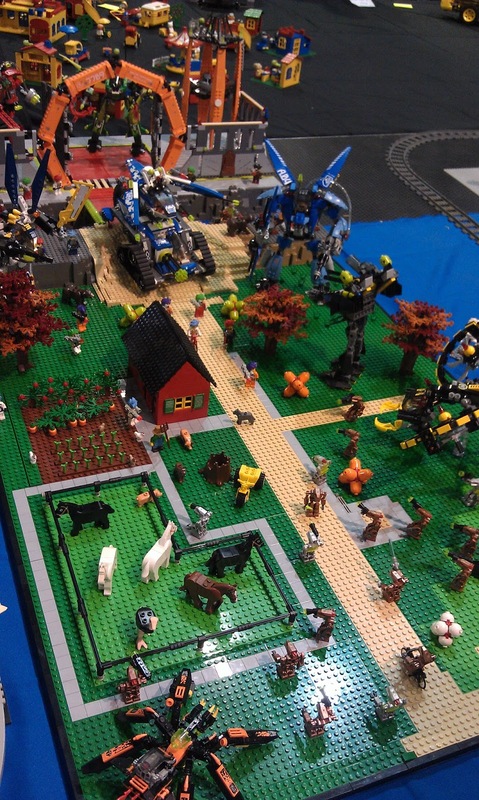 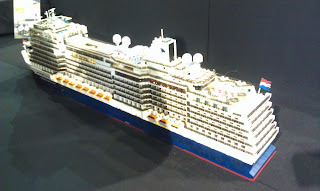 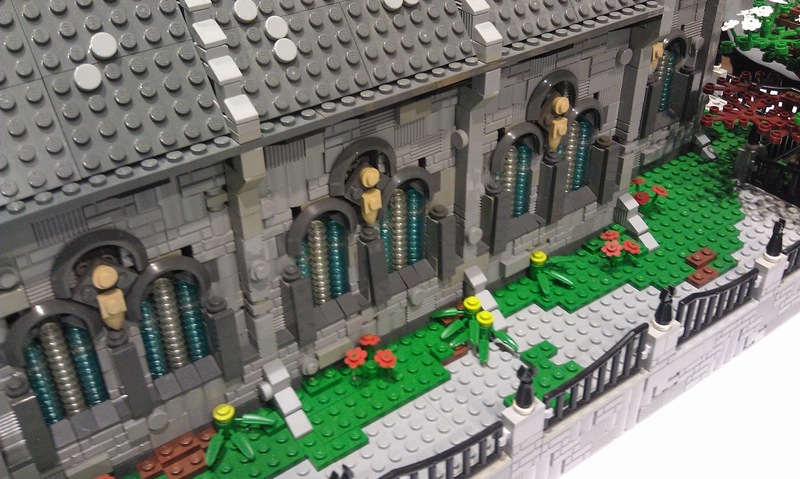 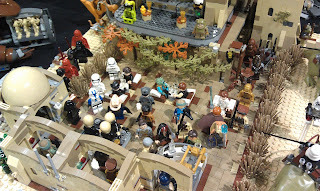 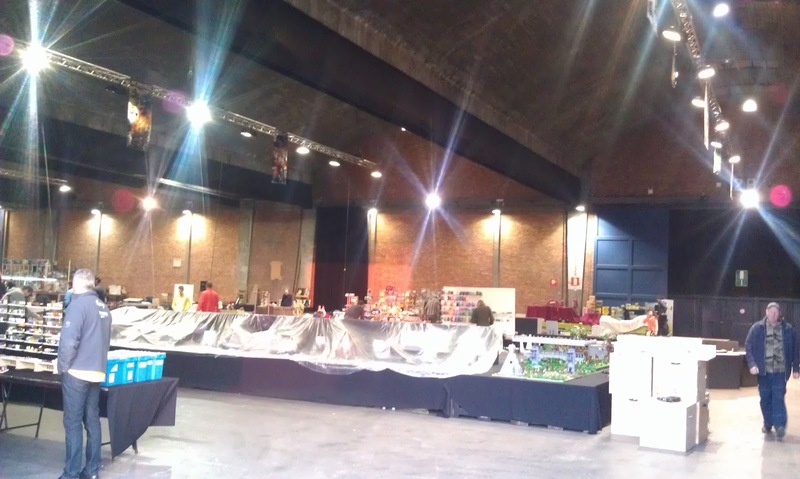 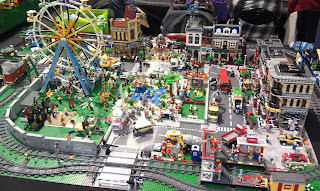 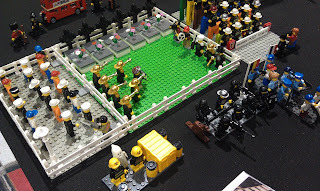 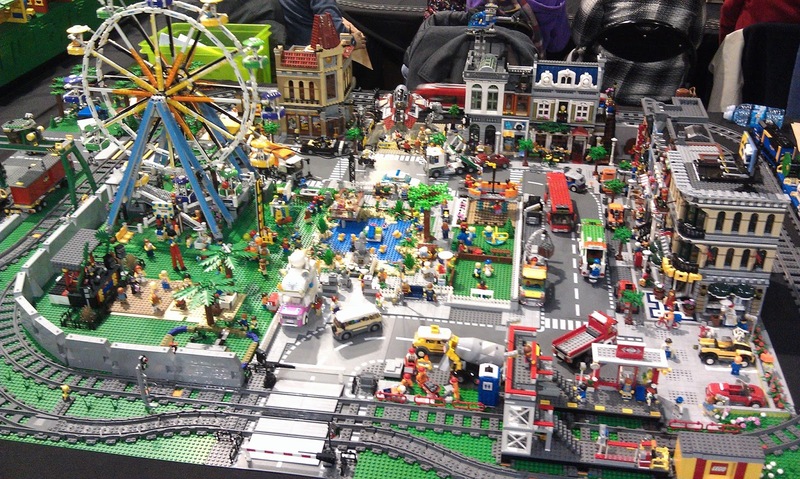 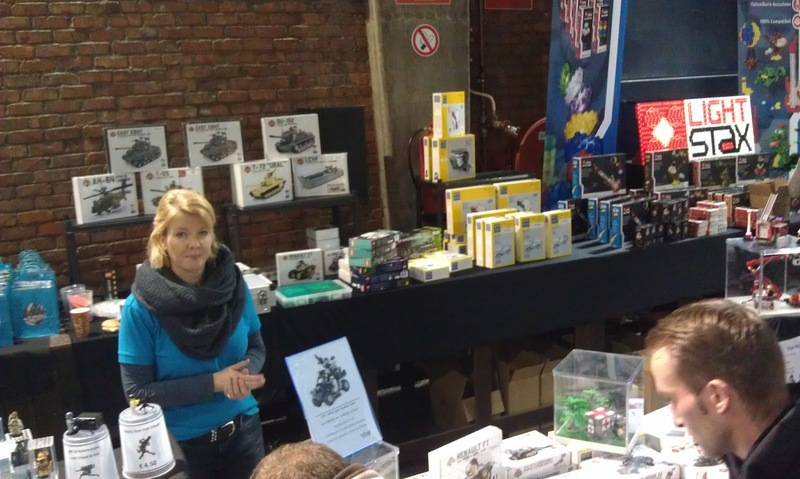 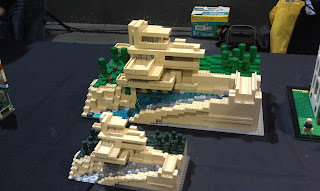 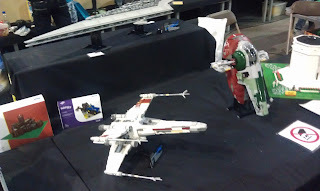 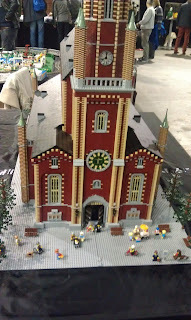 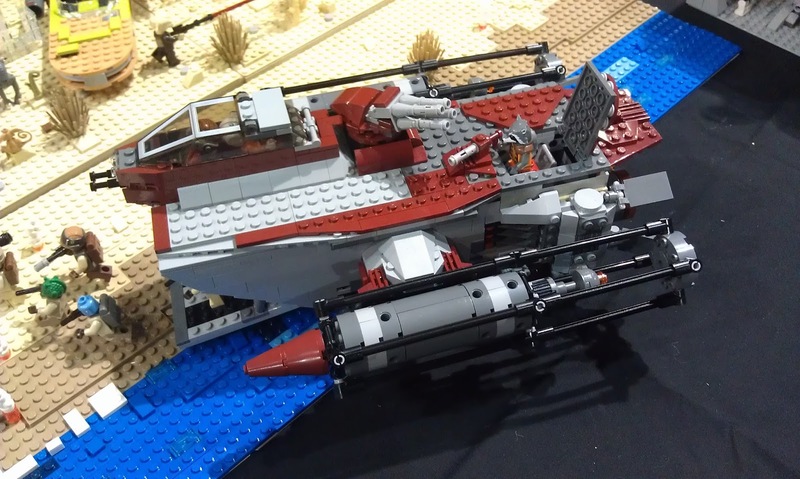 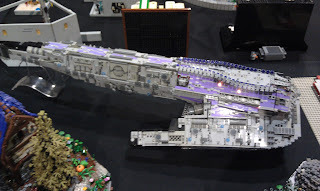 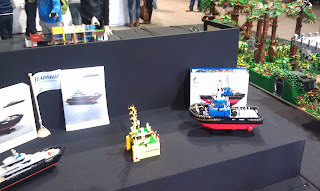 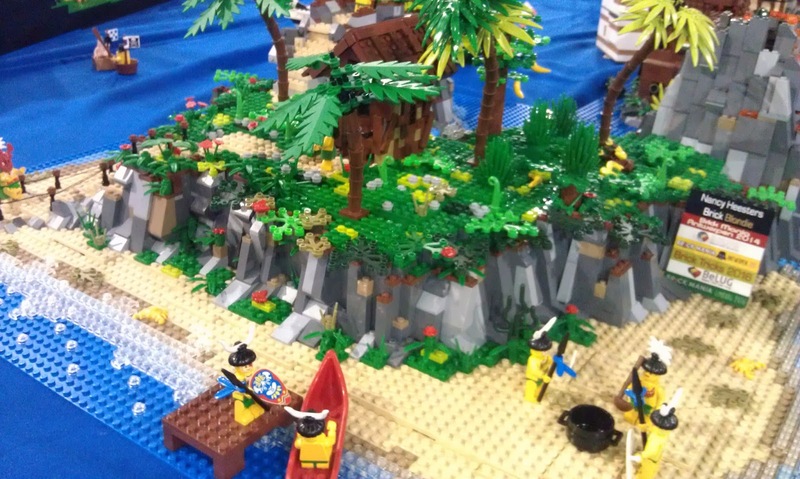 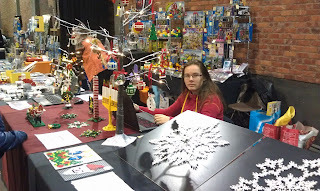 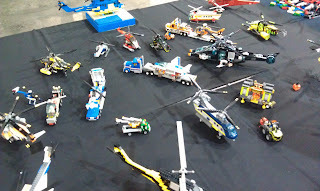 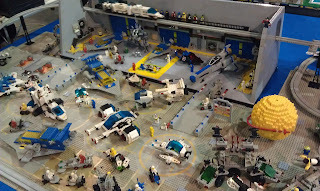 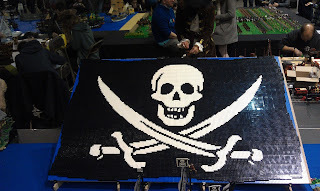 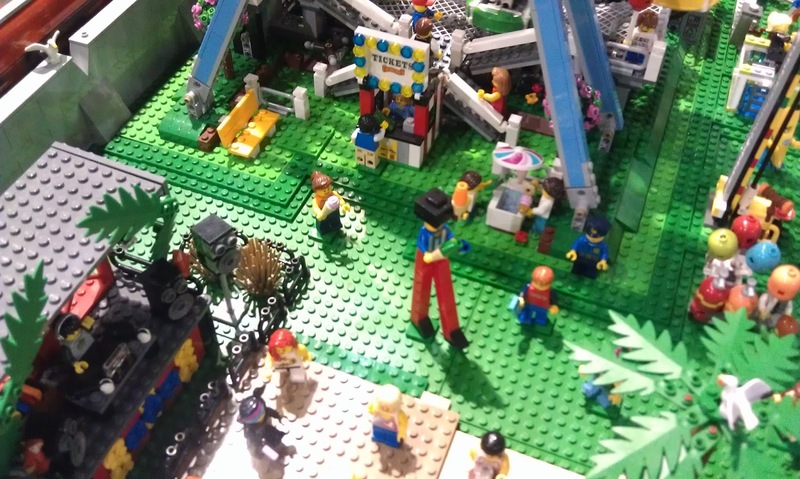 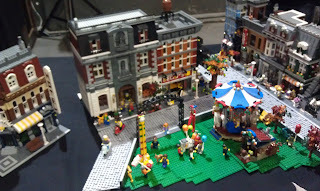 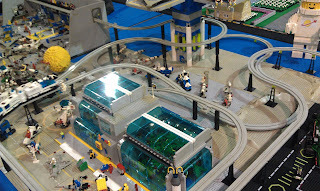 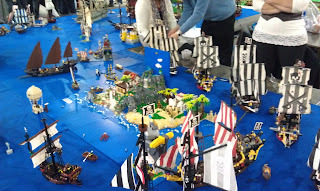 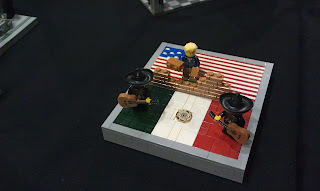 The heart of any convention are of course the builds by the members, and there was a lot to see once again this year. 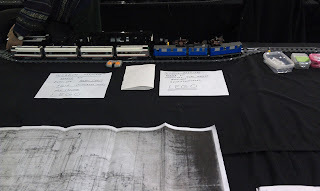 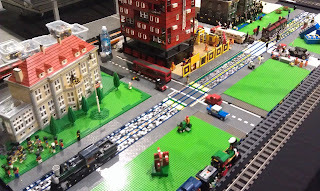 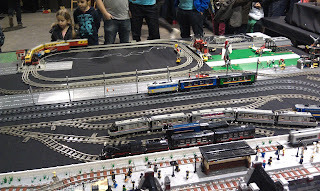 City and Trains where present as well, to be seen over a variety of tables. 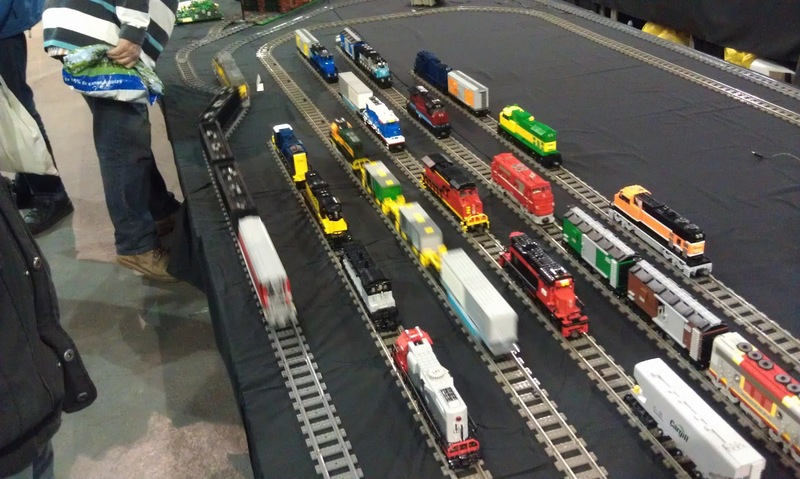 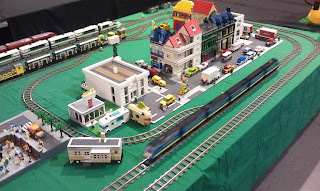 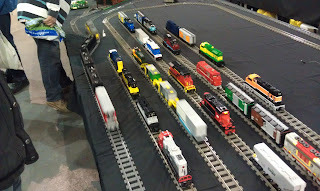 Maybe an idea for all those train fans to combine in one HUGE lay out next year? The Great Ball Contraption remains an eyecatcher, as thousands of little balls moved all over the circuitcourse. 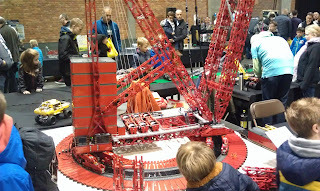 Technic remains a popular theme to build in, and all those moving builds are always wildly appreciated by visitors young and old. Two of our resident `sculpture builders`, Dirk and Koen, had their work on display. 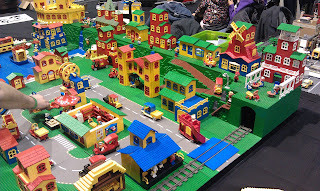 LEGO Certified Professional Dirk Denoyelle and his company Amazings had real pieces of art on display, as well as some of the great sets they`ve build for clients. 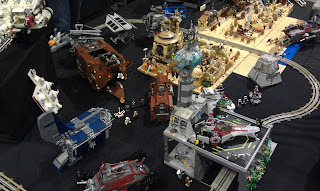 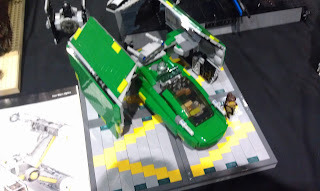 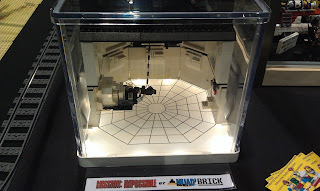 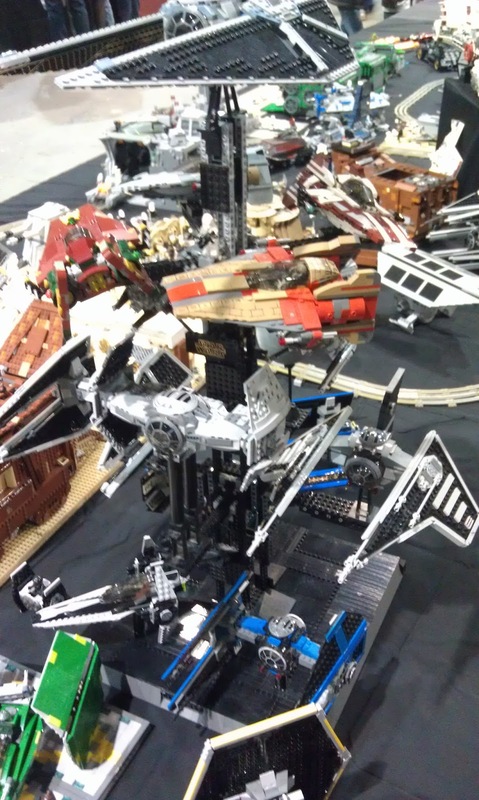 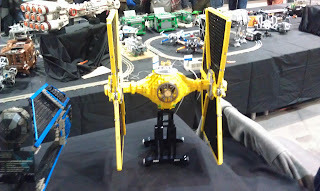 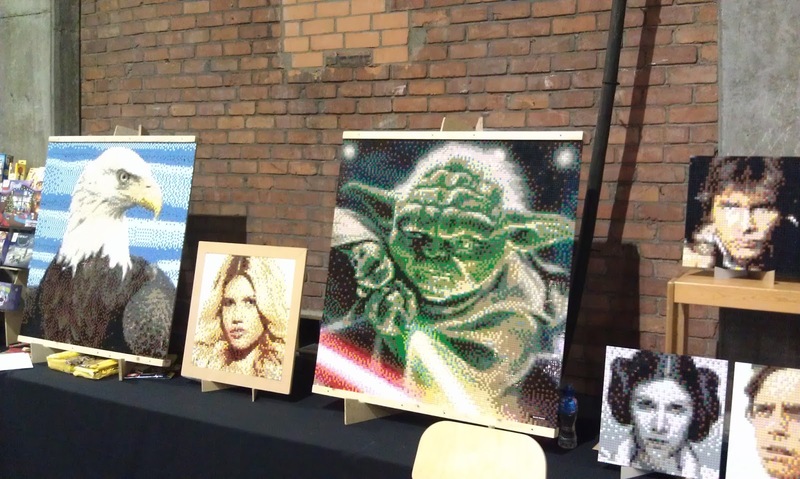 The Star Wars fans had collaborated in presenting their builds all together, so you could emerge in the franchise as you marvelled at the works. 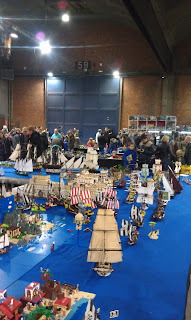 But there was so much more to see, ranging from a Space lay-out all the way to mosaics. 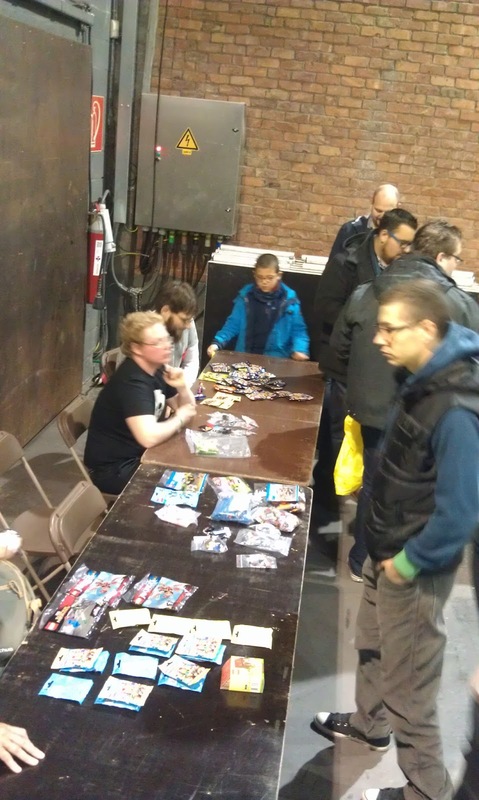 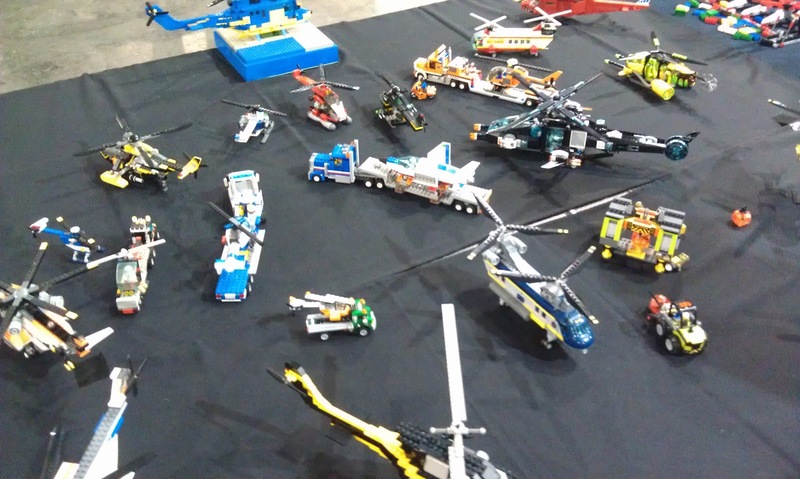 No event is complete without the opportunity to add some sets to your collection, and there was plenty of choice to buy from. 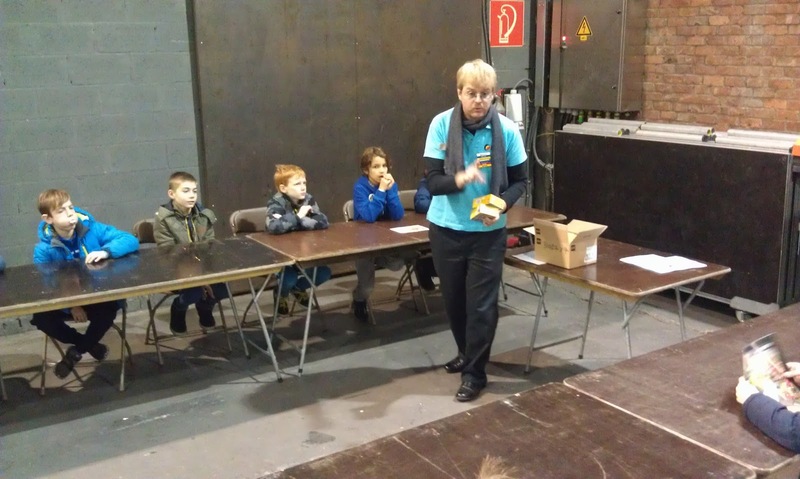 During the day, there where workshops for the children to learn how to build alternate models from small Creator 3 in 1 sets. 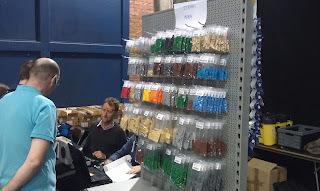 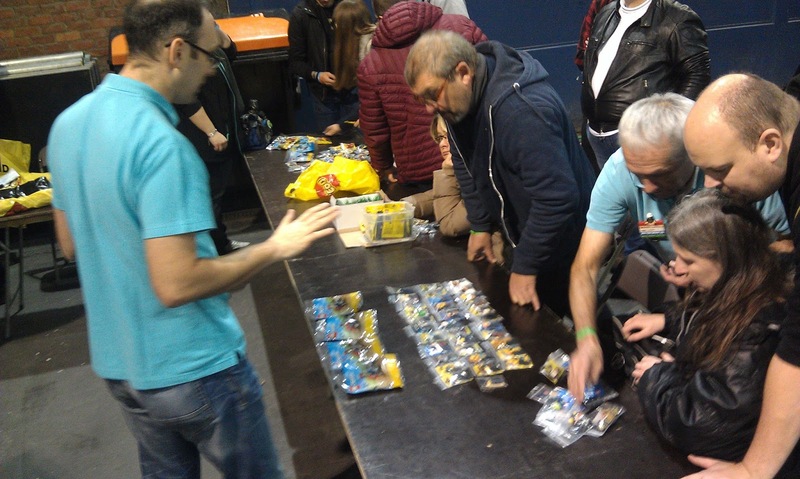 As well as two trading moments every day for exchanging minifigures and polybags. After the first day, an excellent buffet was served to feed the hungry. 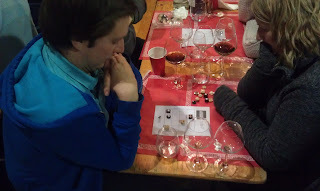 Once the inner person had been satisfied, the evening event commenced. 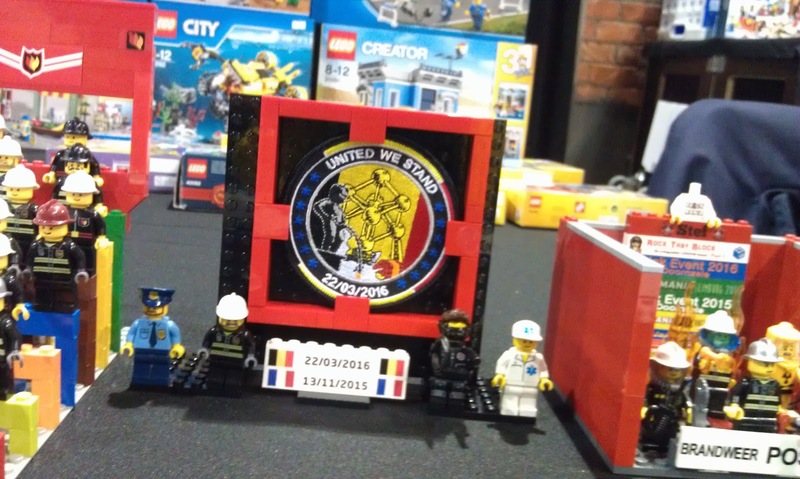 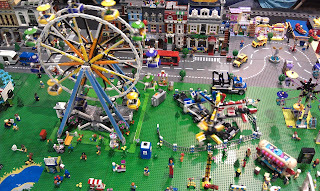 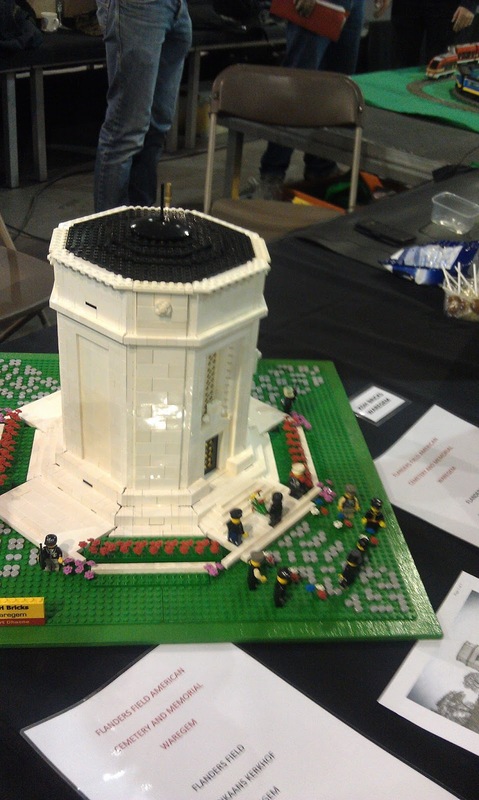 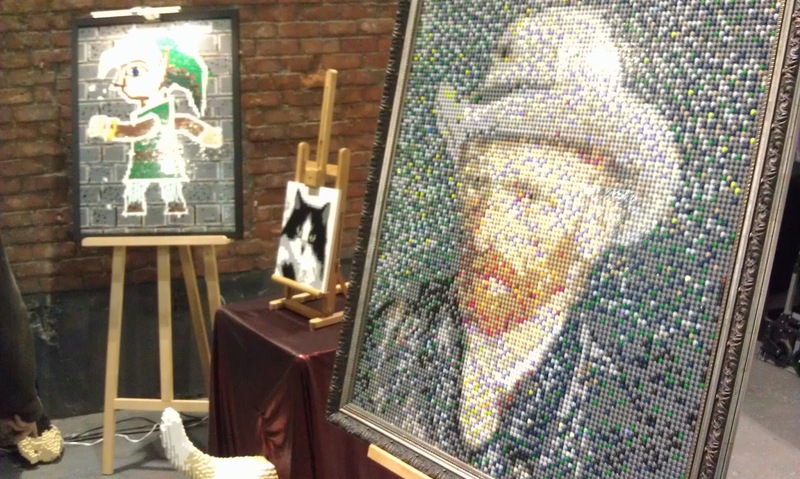 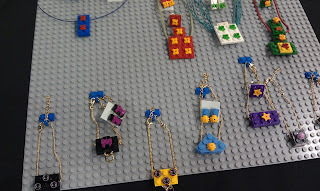 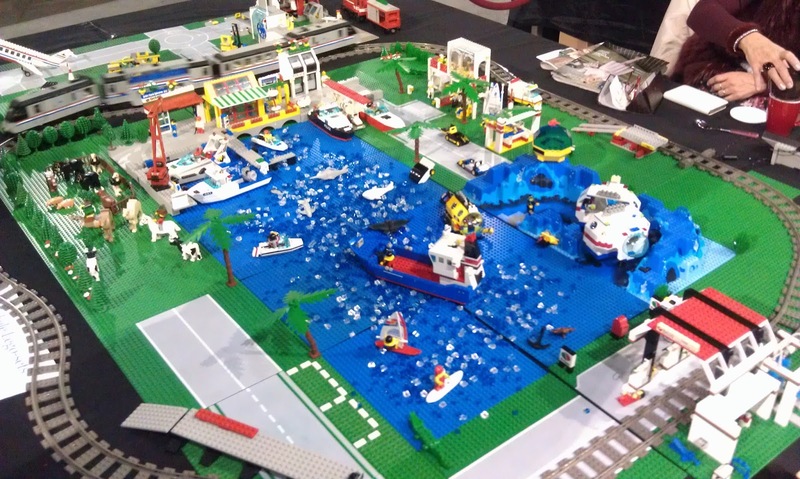 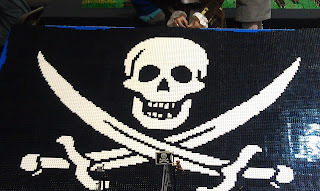 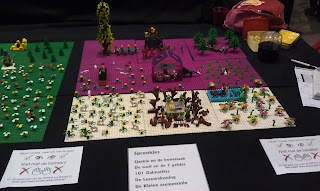 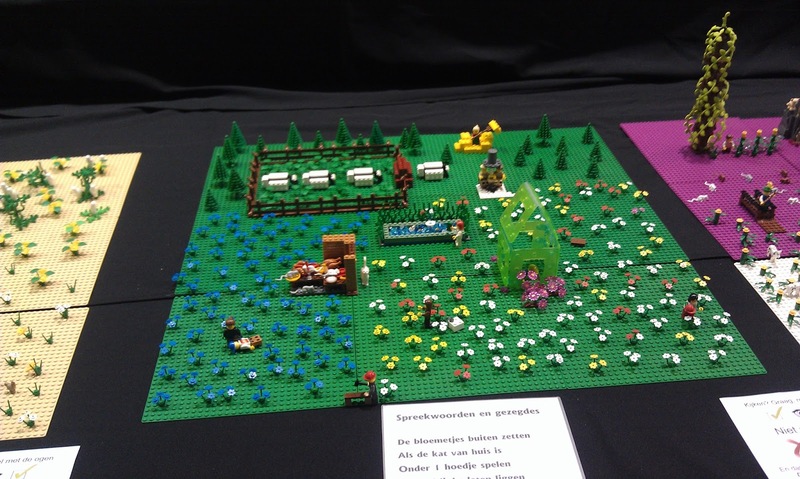 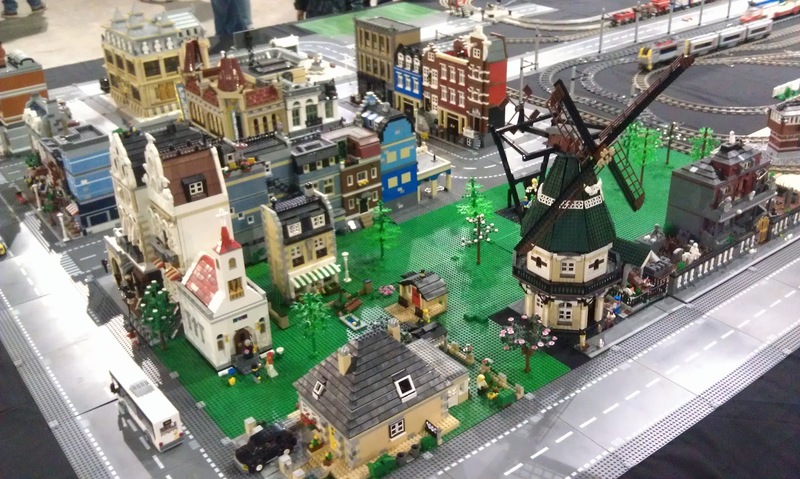 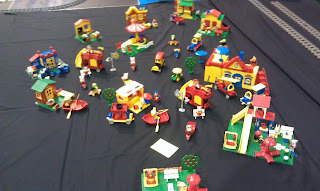 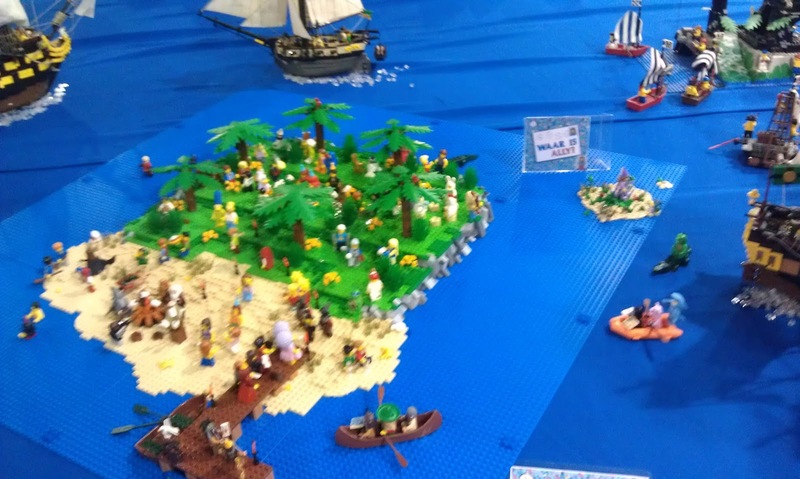 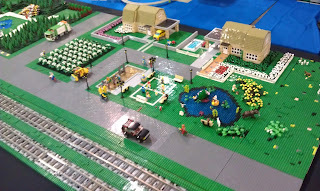 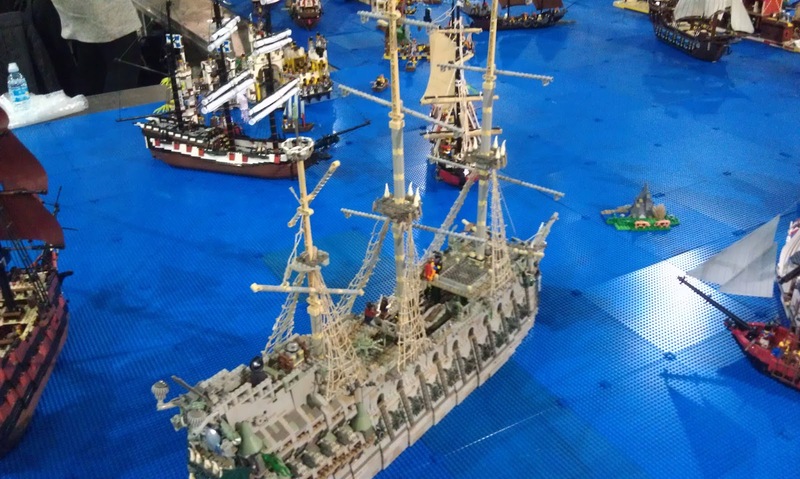 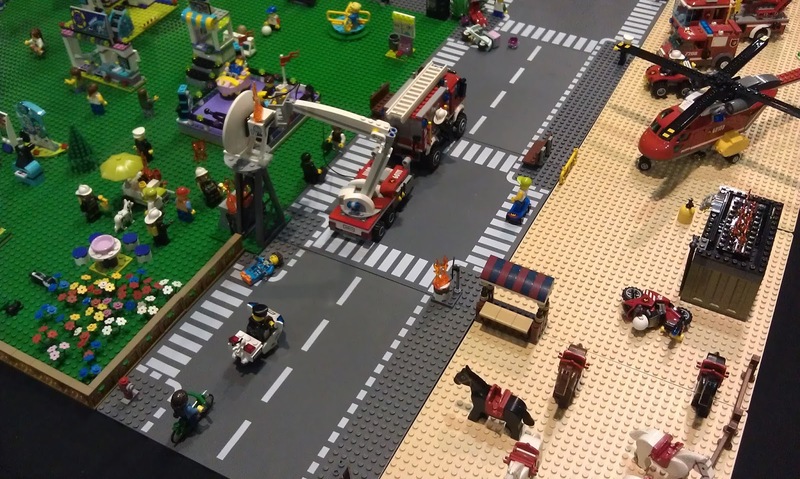 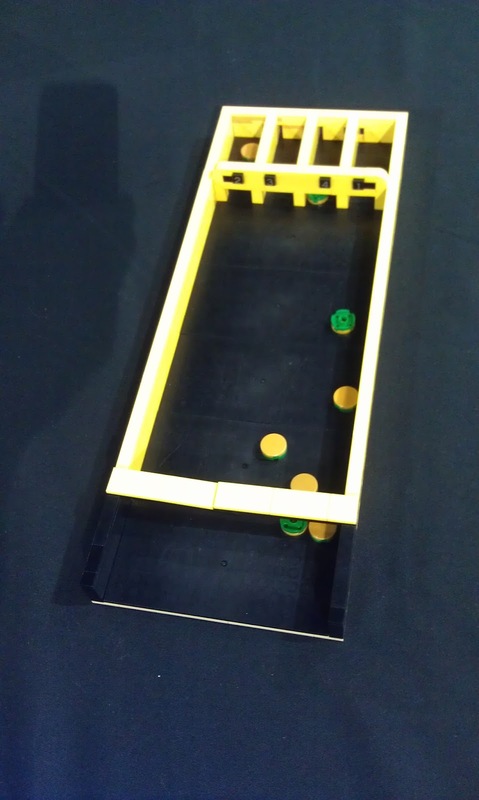 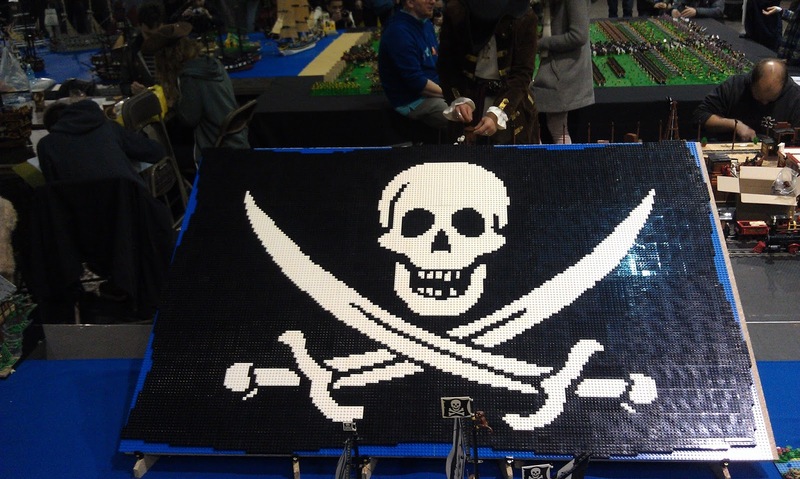 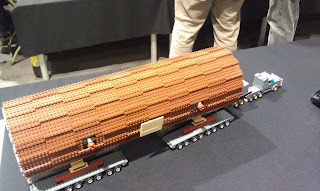 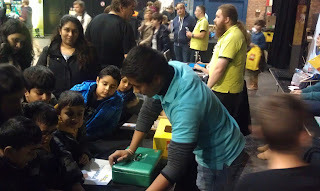 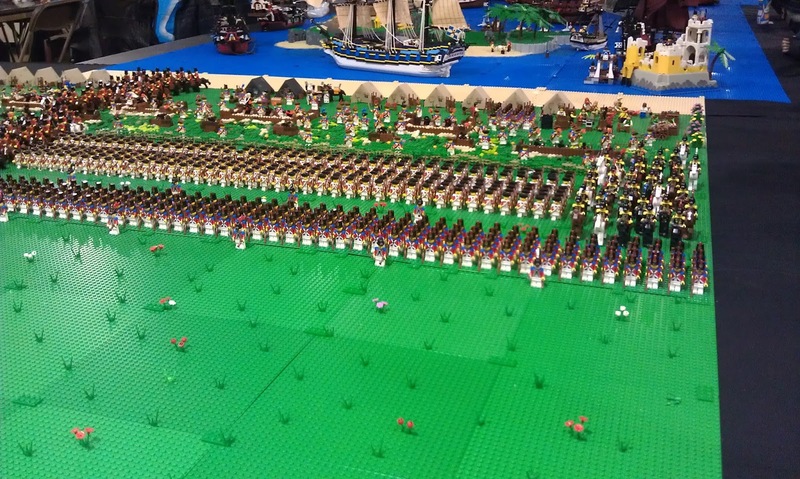 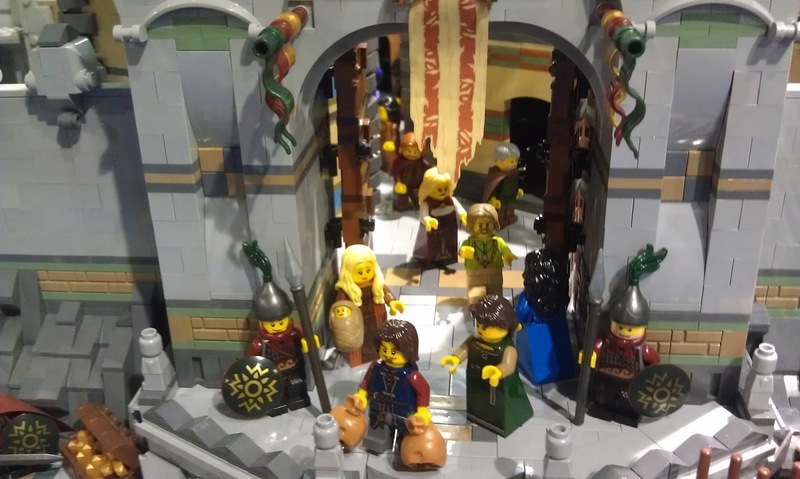 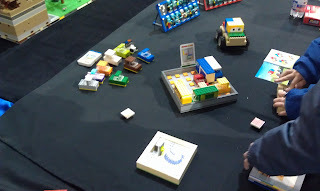 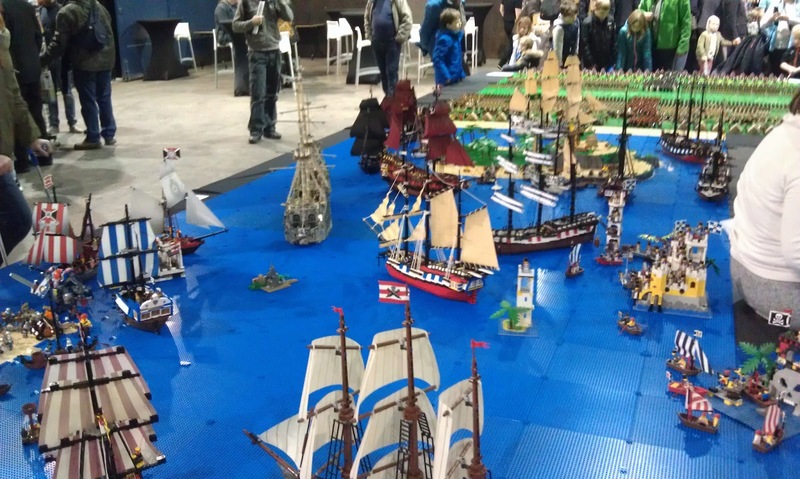 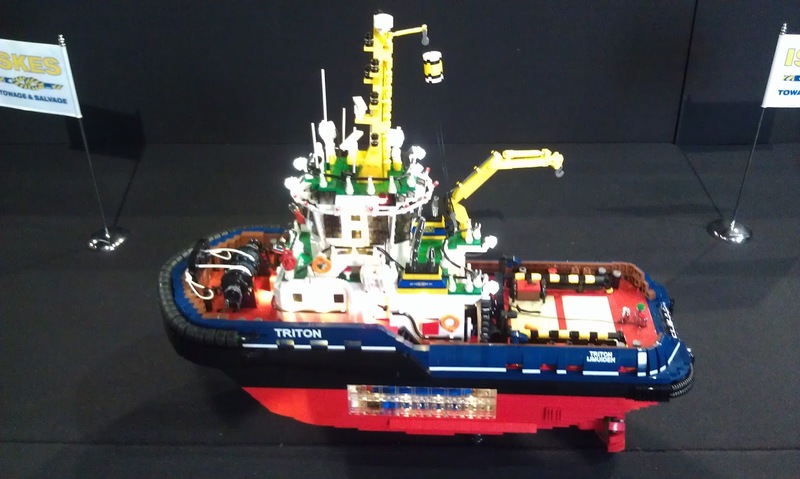 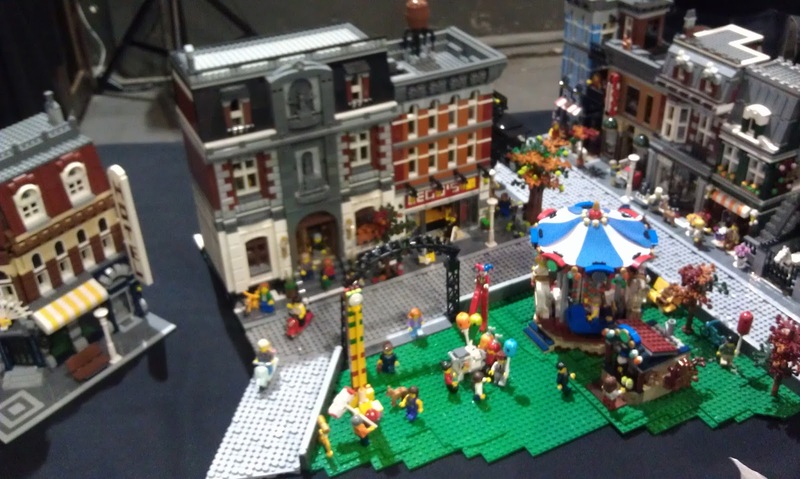 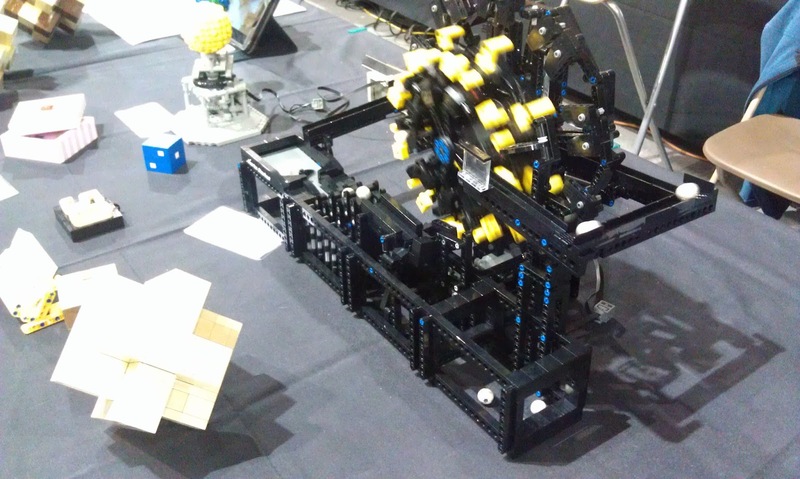 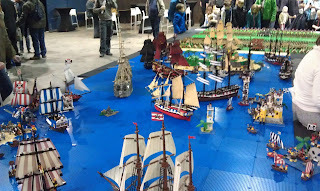 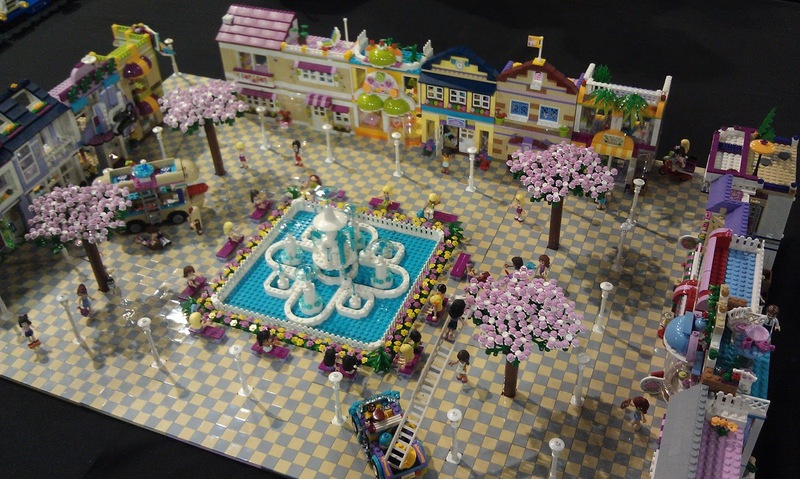 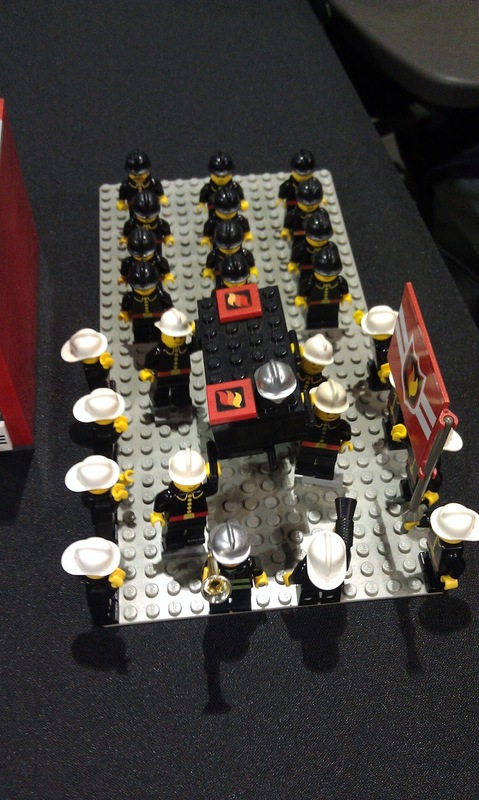 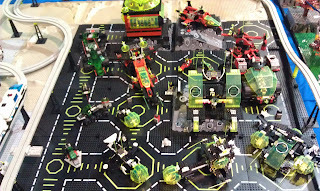 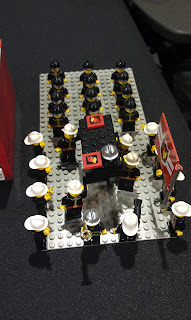 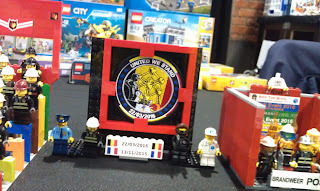 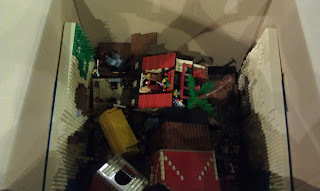 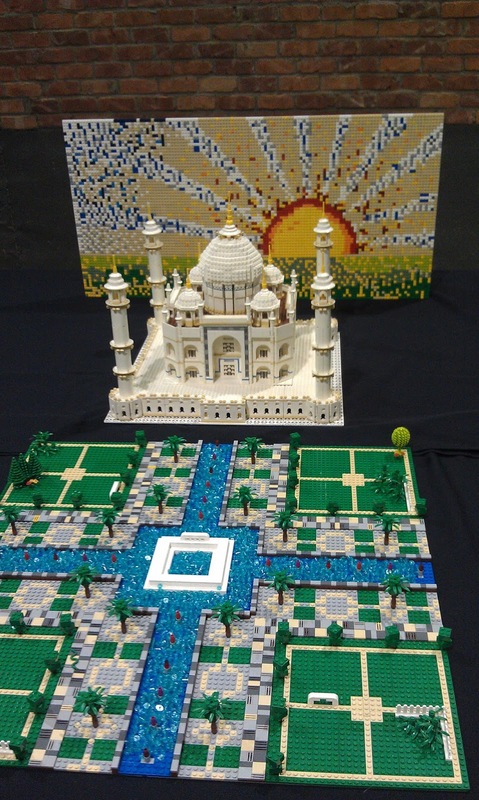 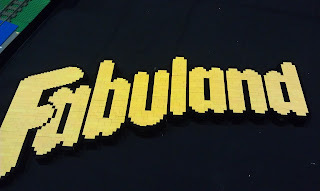 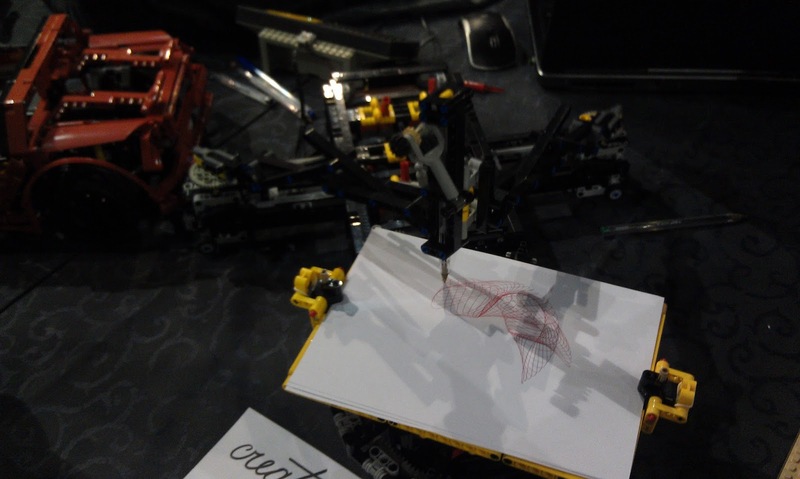 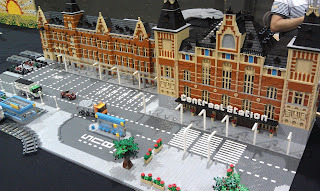 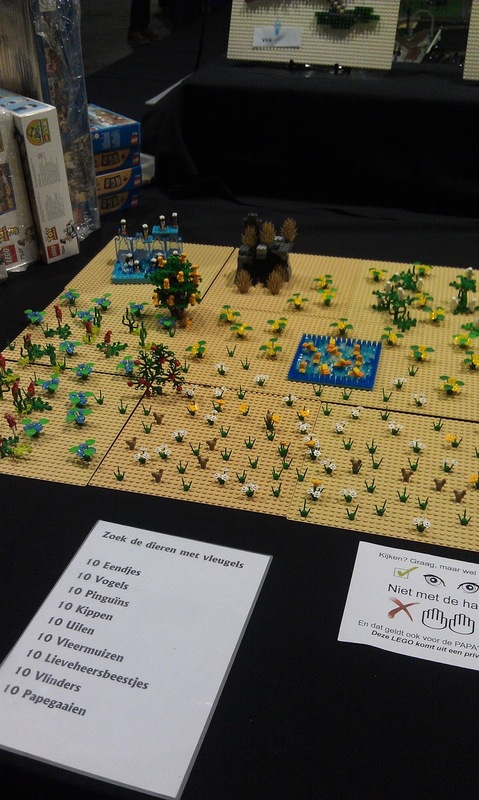 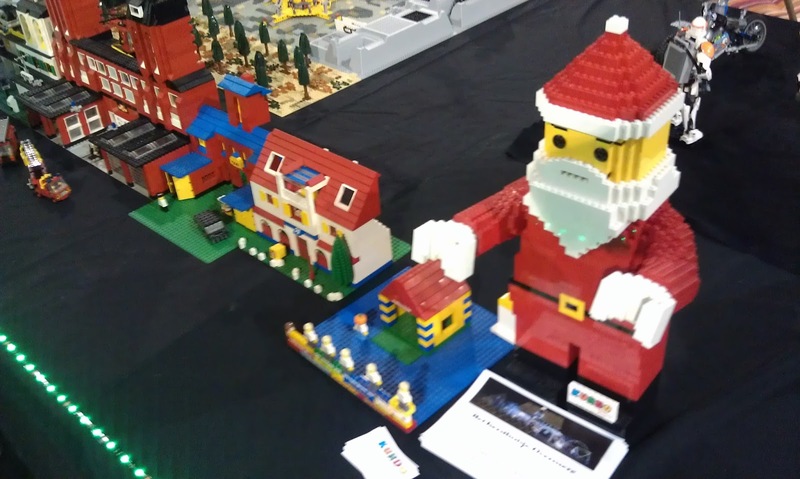 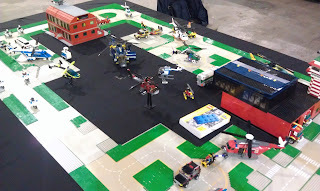 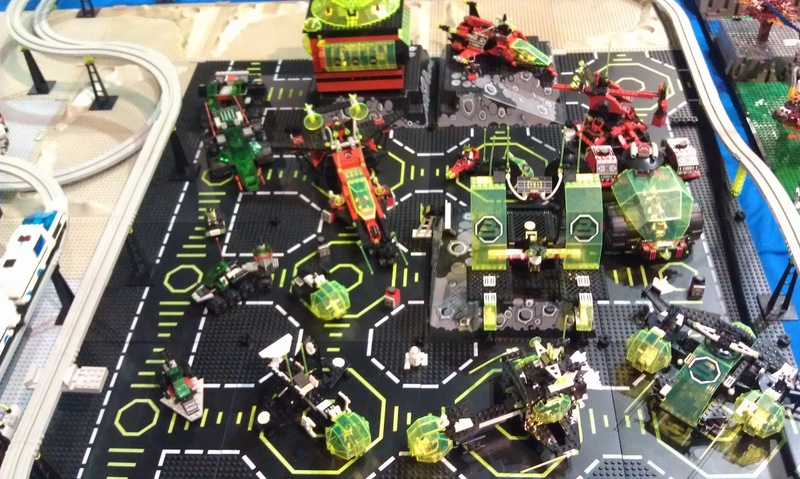 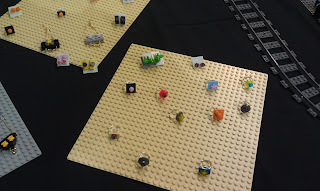 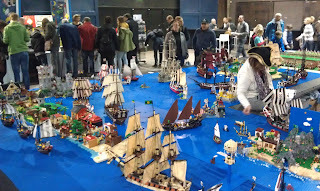 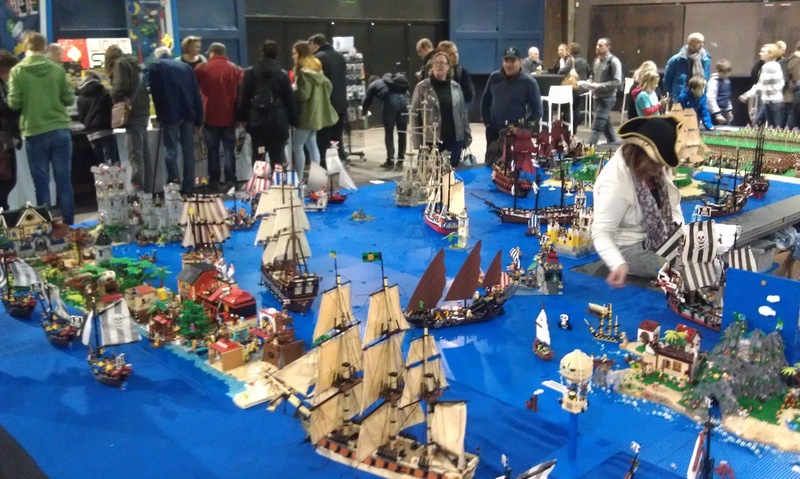 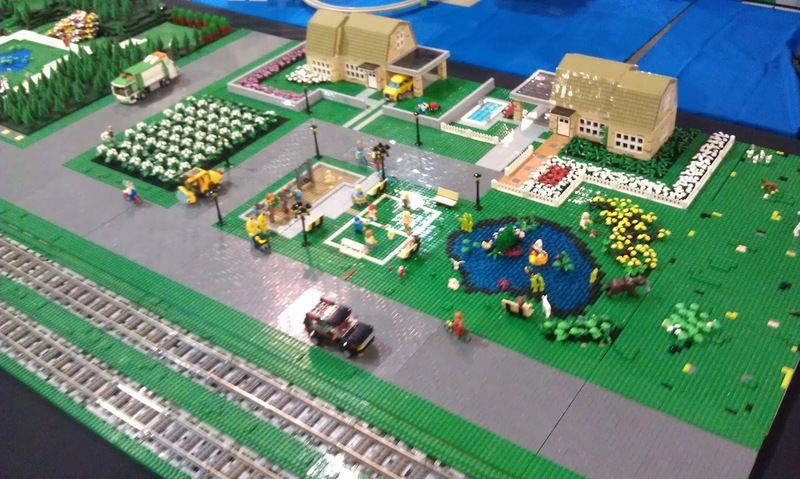 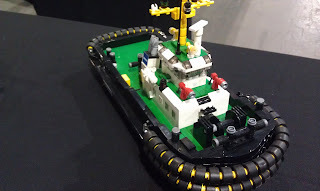 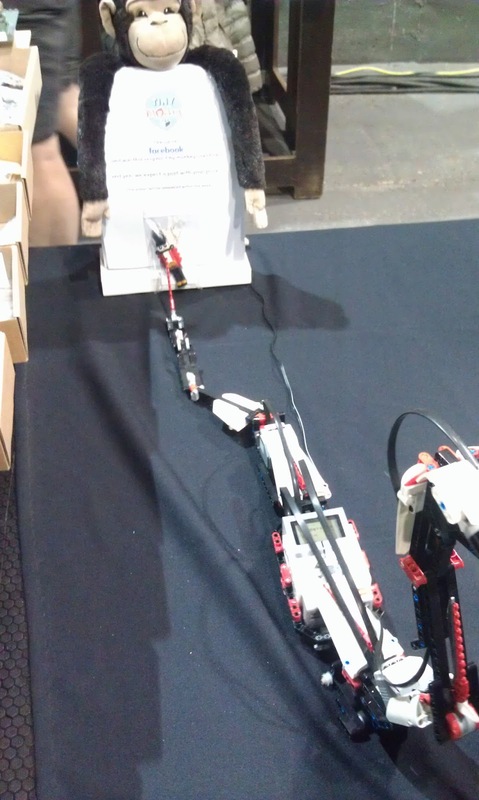 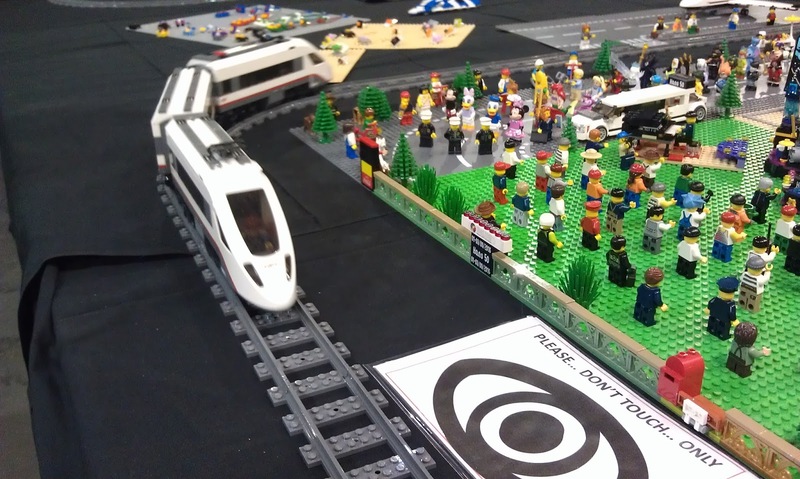 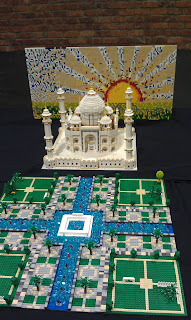 It had a boardgame adapted to LEGO, Quarto, and the winner took home a small prize. The clubraffle was also present, as was the auction, and then we could go home for a good night sleep after a long and eventful day, before facing an even busier sunday. 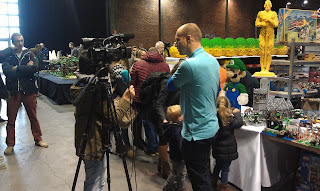 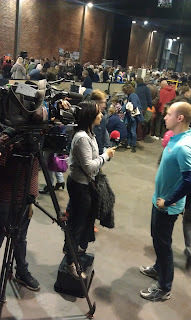 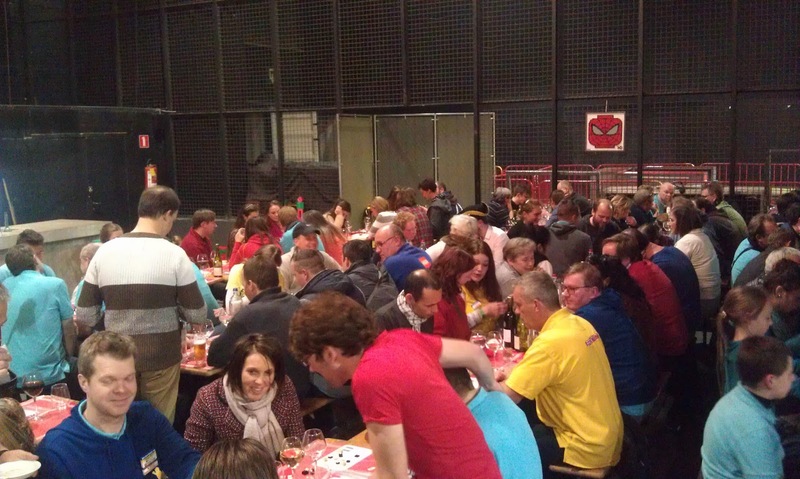 As the sunday progressed as a true festival, we had various regional and national press making their appearance. 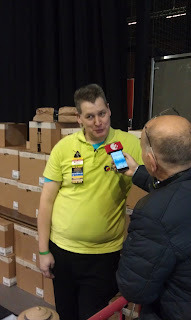 From the local ATV to the national VTM and radio 2, our members and staff duly answered every question they had. 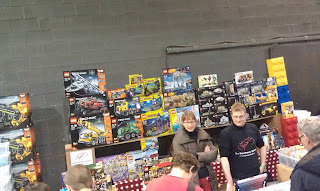 Our friends from OLBC came along as well to say "hi" and a little chat. And then, the weekend had gone by, and it was time for the breakdown... including the demolition of my part of the Pirate lay-out, recycling it into other projects for 2017. 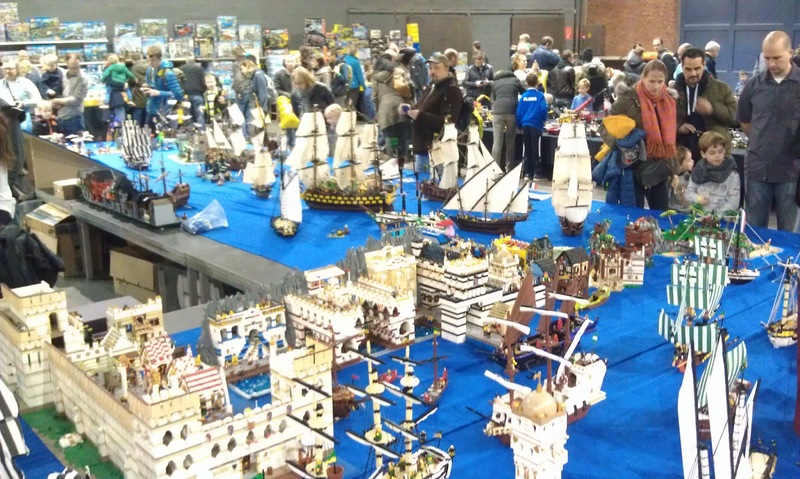 We like to thank all the participants and visitors of the event, for it was a truly magnificent 2016 edition!